The Expanded World Cup is vote buying for Infantino. The comments after the opening game in this season’s World Cup were over the mismatch between what were, at least according to FIFA, the two lowest ranking sides in the competition. Russia, ranked 70th according to FIFA easily overcame Saudi Arabia, whose ranking was three higher. Russia’s ranking was of course false. One of the criticisms of the FIFA ranking system is that a host nation who are not playing competitive games will inevitably drop down the rankings. Because of this, and also because teams can protect their ranking (and therefore competitive seeding) by not playing while others play matches in which even a win results in them dropping in the rankings. The new ranking system will be similar to the one used at www.eloratings.net – this works on points exchange so a team cannot lose points in the ranking while winning a game. It ranked the opening game as 45th v 63rd. What is not addressed by the change is that the 32-team world cup is far from being the top 32 countries in the World. If we use the FIFA rankings, twenty of the top 32 ranked teams are from UEFA (14 teams at the World Cup) while 7 more are from CONMEBOL (5 qualifiers, including Peru via a play-off). The top 32 is made up with 3 from CONCACAF (3 qualified) and two from Africa (5 qualified). Asia has no country in FIFA’s top 32, despite having five teams in Russia. Using eloratings makes only a little difference to these figures, their numbers give a slightly better ranking to Asia (two in the top 33, as there was a tie for 32nd place pre-World Cup), and slightly worse for the Africans. One might think that when the World Cup is extended to 48 teams, this would be corrected to some extent, with at least the possibility of the top 32 countries being there, but the new slot allocation has been defined as follows (with number of the number of teams in FIFA’s top 48 ranks in brackets). UEFA 16 (28), CONMEBOL 6 (8), CONCACAF 6 (3), Africa 9 (7), Asia 8 (2), Oceania 1 (0) – plus two play-off places for which each confederation except UEFA gets one chance in a six country pre-qualifying tournament. The host confederation will get one extra place in this – meaning UEFA is only involved when the finals are to take place in Europe. The graph clearly shows how the South American teams did greatly better than the Europeans, especially in the two World Cups held in Mexico (1970 and 1986) and the one in Argentina in between (1978) while Europeans held sway in England (1966), Germany (1974), and Spain (1982). 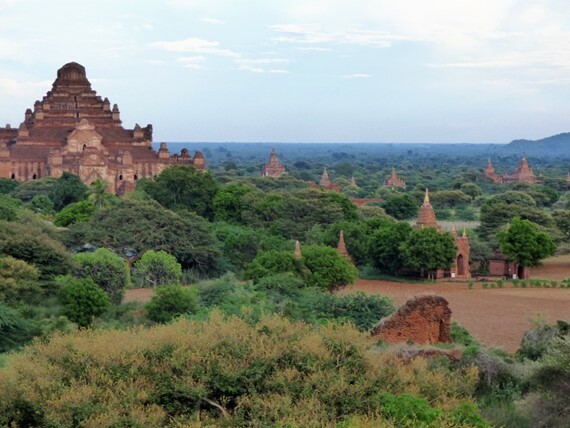 It also shows the failure of either Africa or Asia to make a break through. If we added more teams from any Confederation, it should bring down the score, on the assumption these would be weaker than those already there, while conversely reducing the allocation should remove the weakest and improve the score. The clear implication here is that Asia and Africa are over represented, while Europe and South America do not get their just deserts. So why do FIFA want to give more extra places to the continents which are over represented, but not to those which are under represented. The automatic response is that it is all about money, but this is not entirely the case. Most of FIFA’s income comes from the World Cup competition, through TV rights, sponsorship and (to a lesser extent) ticket sales. The TV rights sales and sponsorship money does not have Africa in mind and adding more African countries does have some logic behind it. The African qualification procedure, which currently involves no play-offs or second chances is the less likely than others to send the top five teams from the continent to the finals than the procedures used elsewhere. There is a belief that there are a few unlucky teams who are not particularly worse than those who have got through who have failed due to a poor draw or a single unlucky result. To be honest, the same is true of the European qualification, but at least here we have the play-off procedure which gives a second chance. Still few would deny that the competition is missing teams such as Italy and the Netherlands. The argument that DR Congo were desperately unlucky to get knocked out, while teams such as Ghana, Cameroon, and Cote d’Ivoire, all of which have impressed us in the past, are all missing. Of the latter trio, only the Ivorians finished second in their group. Supporters if the FIFA stance, not giving the places that Europe believes are justified can also point to the graph above. When the numbers have were expanded to 24 and 32, Europe did not get the increases they may have expected, but this has not seen them gain a higher score. However, Gianni Infantino came to power at FIFA on a promise of more slots in the World Cup, and more money to the members. If he is to retain the presidency, he must deliver on the promises to the smaller countries, in Africa particularly – but also in Asia and the Caribbean. Infantino basically came to power by trumping Michel Platini’s suggestion of a 40 team World Cup and brining in a 48 team one instead. Fortunately for him, the countries did back the Americas bid for the 2026 World Cup – which has income projections twice that of Morocco’s. This means that FIFA can continue to show largesse in financial grants to its members for the next decade at least. The 48 team World Cup and the increasing costs of stadium building is placing a limit on who can stage future cups. The larger European Nations generally have the stadia, and always have plans for some improvements. The USA could have run a bid on its own, without joining up with Mexico or Canada – but neither of its partners could hold a tournament on its own. In Asia, only Japan and China clearly have the resources to hold the cup. I am sure China will be bidding soon. I am not even certain that Australia could mount a bid on current stadiums. In India, the new football stadiums inspired by the Super League are not of World Cup size, which means the big stadiums in the country are still the cricket grounds. Then there is South America. The last World Cup placed a big burden on Brazil as FIFA takes money out of countries staging cups, but the countries have to bear the cost of building. There is a feeling that Uruguay should hold the 2030 World Cup in celebration that this is the centenary of the first world cup. But Uruguay cannot go it alone. There is a suggestion that a combined bid of Uruguay, Paraguay and Argentina may bid. England’s plans to bid (either on its own, or as a joint UK, or UK/Ireland) have been damned by a quotation in support from Sepp Blatter. Infantino does not appear to be the initiator of ideas but has been in the background bringing them through. He was involved in the pan-European plan for 2020 and had left UEFA for FIFA before the disgraceful decision to water down the plan by giving group games to Wembley as well as the semi-finals and final. Both Cardiff and Stockholm would clearly have been better options. 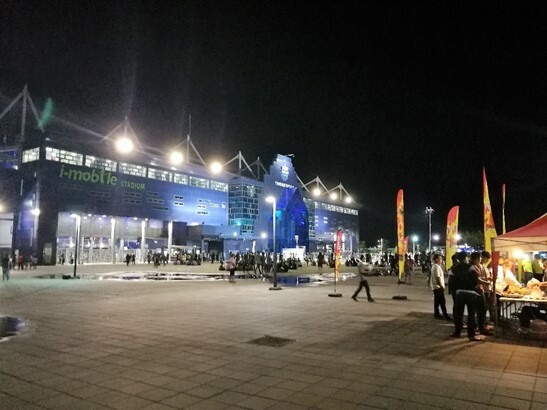 If 2020 goes well, then do not be surprised if Infantino is at the centre of a push for a pan-South American World Cup in 2030, with at least eight and possibly all ten of the nations staging games. It is not only the World Cup itself where FIFA sees expansion as the way forward. They have two other adult men’s competitions for the World, the World Club Championship and the Confederations Cup. Both are somewhat maligned and ignored, at least here in England. It is almost certain that the Confederations Cup will end after the 2021 event. It may well have even seen its last hurrah leaving an under-strength German side as the last winners. 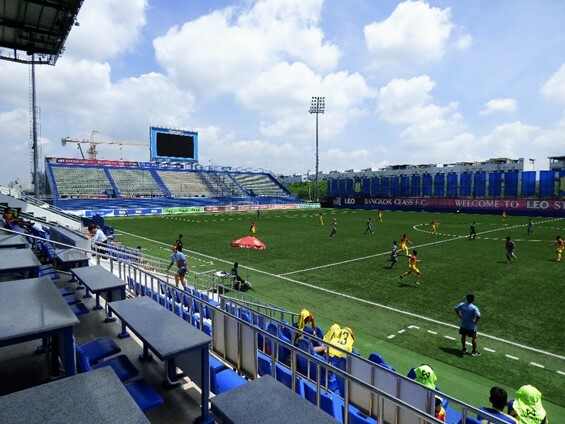 It cannot retain its current position as an event on World Cup venues twelve months before the World Cup as the disruption to leagues would be too great. If it is to be played in 2021, then it will have to be in the summer, and hence in different locations. FIFA are already discussion alternative titles of tournaments in its stead, with a World “Nations League” somewhere on the agenda. The annual, 8-team World Club Championship has always been criticised and not particularly loved. FIFA have been searching for alternatives for some time, with discussions of 24 and 32 team tournaments. FIFA now say that they can earn an income of US$ 25 billion over a 12-year period for their two new competitions. This is based on an unnamed group of investors, who will guarantee the money, but will then sell on the various rights to the competition. FIFA would have a 51% share of a joint company running the operation and would lead on sporting decisions. A report on the BBC web site specifically says that the investor group, which comes from Europe, Asia and the Americas does not include Chinese investment or any direct involvement from Saudi Arabia. 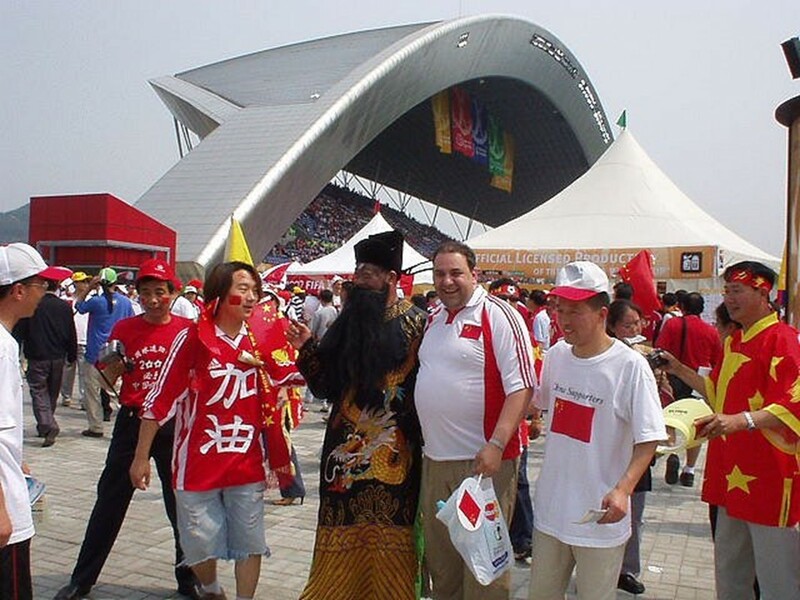 They second half of the reply seems to suggest there is indirect involvement from Saudi Arabia while the first may be a surprise given how big the Chinese advertising presence is at the Russia World Cup. Still, the Chinese government has ordered a reduction in capital outflow so I am guessing that the Chinese companies are no longer willing to commit long term like this. 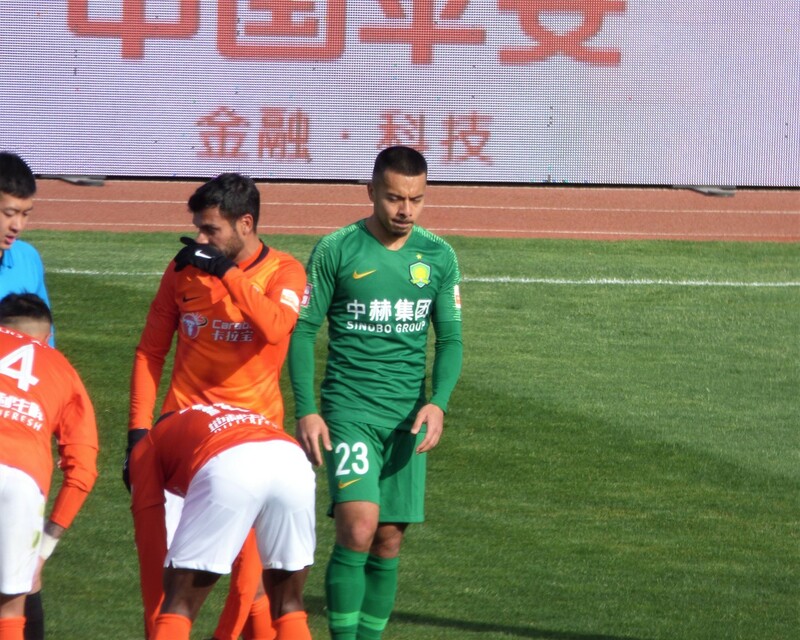 The current Chinese position has reduced the number of high value transfers into the Chinese Super League and also limits the amount that Chinese investors may bring to their European clubs such as the Midlands quartet of Birmingham City, West Bromwich Albion, Aston Villa and Wolverhampton Wanderers. Wanda have divested their 17% share of Atletico Madrid. The Chinese have not reneged on agreements made before the policy change, so Wanda is still the title sponsor at Atletico’s new stadium, while Chinese companies such as Wanda, Vivo and Hisense have stepped into to the void created in FIFA’s partnerships when some of their sponsors pulled out. So, we may expect the annual World Club Championship to end either in 2019 or 2020 and be replaced by a bigger tournament in the summer of 2021. The new tournament is expected to have 24 teams. Half of these will be European with the eight finalists from the four preceding Champions Leagues, plus the four Europa League winners all getting a place. CONCACAF, AFC (Asia) and CAF (Africa) will contribute two teams each while the CONMEBOL (South America) will have five or six contenders. Oceania will either have one, or maybe none at all. Played in June, and with five games for the two finalists, one feels that the new form World Club Championship will get a much greater global presence than the current format. The plan is apparently eight groups of three, with group winners only entering the knock out stage. However, it is already fielding criticism from all sides. The World Nations League is less clear. It appears this could be a biennial competition, and hence starts with the various confederations own Nations Leagues competitions. The first European Nations League takes place this autumn, with the finals in the summer of 2019. At the same time, CONCACAF are staging a series of qualifying games which define both who is in the CONCACAF Gold Cup next summer, but also the make up of the CONCACAF Nations League when it starts in the following autumn. The Nations League concept is something that came out of UEFA while Infantino was still involved. The extension of this to become a FIFA competition has only been mooted since Infantino replaced Blatter in the chair. Previous ideas, such as playing the World Cup every two years had been rejected by the countries and their confederations, but it always appears that there is a contest between FIFA and the Confederations, (an in particular, Europe) over control of the competitions and the calendar. The World Nations League, possibly under the title “Final 8”, would pit together winners of various Confederations Nations Leagues. If played in a single nation then one feels it is just the Confederations Cup re-aligned. Exactly how it fits into the international calendar seems ill-defined, but I have heard it suggested that the November International window in “Final 8” years could be two weeks instead of one, and somehow it gets played then! Still, the “Final 8” is being promoted as between winners of continental nations leagues, and here there is a problem as only UEFA and CONCACAF currently have decided on this route. The Nations League concept is not exactly one size fits all, and may be difficult to work in CONMEBOL, Oceania or Africa. I would not dare to say that not having an Oceania representative would be one of the benefits of the format, but I have no doubt that someone behind the scenes has thought this. The risk here, is that competitive games between the World’s top nations on a more regular basis could take the gloss off the World Cup itself. Do we really need three tournaments between the world’s top countries within each four-year cycle? Each federation’s own competition will come under pressure to change dates to fit into the FIFA formats as well. The global popularity of the European Competition, played in the even numbered years between World Cups means the others have now gone for odd numbered years. There will be a point next June when CONCACAF, CONMEBOL and Africa are all in the midst of their own continental competitions. The next Asia tournament is also in 2019, but in their case, it is played in January. Oceania normally sneak theirs in at the start of the World Cup qualification process, and it is only played to a conclusion so as they can have two finals – one with the winner going to the Confederations cup, and another for the play-off place in World Cup qualification. The big surprise being the Oceania tournament in 2012, when New Zealand did not make the finals, and hence Tahiti played in the Confederations Cup. It was not even Tahiti that beat New Zealand in the semi-finals, but the New Hebrides who then lost to Tahiti in the final. New Zealand recovered quickly to win a round robin home and away tournament involving all four semi-finalists from the Nations Cup, and hence ensure their opportunity to lose (9-3 on aggregate) to Mexico in the play-off. So, in simple terms, Infantino has made promises, and wants to change the scenery of World Football to keep them, and ensure he keeps in office. The World Cup expansion helps him to win votes in Asia and Africa, while the amount of money being offered for the other new competitions means that the opposition to them will probably be ignored. Names such as “ITV Digital” and “ISL” keep echoing in the depths of my mind when thinking about this. While the investors may be able to deliver the promised riches, you can bet they have a back stop where the new company being formed fails to deliver. FIFA lost a bundle of cash when the ISL deal failed, as did the English Football League over the ITV digital debacle. In both cases, the money promised could not be backed by the product these companies were selling. Despite a series of new sponsors from China, FIFA have lost a lot of money after sponsors pulled out over the recent scandals. A recent report in the independent says that this is around 10% of the sponsorship income. In turn, this income is somewhere between a third and a half of all FIFA’s income. Overall, the amounts promised for the new competitions would effectively double the income FIFA would expect to receive in any four-year period. It will allow them to send much more to the nations in grants both for administration and projects. I cannot see beyond the nations effectively voting for it because of the money. It is most likely there will be few objections, except from those nations where the additional income is lowest in percentage terms. Real Madrid and Barcelona have already been reported as responding positively to overtures over the club competition. Anyway, now the value of the genie has been let out of the bottle, there is the risk that if FIFA do not run such a competition, then someone else will – which will increase the rewards for clubs involved, while not helping out the rest. The Price is Right? Selling Football by the Euro. The big change is in the number of teams that have direct qualification to group stages in both competitions. This is particularly true of teams who have not won their leagues, playing in the Champions League. In 2017-18, there were 18 clubs who had won the major prizes in the Champions League. Twelve countries got their champions into the competition as of right, five more through the qualification process. The 18th winner was Manchester United who won the Europa League. On this occasion, the Champions League winner were also a League champion. The champions that managed to come up through qualification were well distributed in the rankings. So while Champions 1 through 12 were automatically included, the others were ranked 14 (Greece), 19 (Cyprus), 25 (Scotland), 26 (Azerbaijan) and 30 (Slovenia). For 2018-19, only the top ten Champions get an automatic place, and they are joined by just four other champions. With places for the winners of the Champions League and Europa League already guaranteed, this means that the number of teams with a major trophy will be reduced to 16 – or 15 if the Europa League winners are one of the top ten domestic title winners, (a scenario that is unlikely in 2018, the only Europa League semi-finalists likely to win a domestic title are the Austrians, Salzburg – who would have to fight through qualifying rounds to get into the Champions League groups). For the non-Champions, in the 2017/18 season, nine had direct entry to the groups, from six countries while five more won through from qualification. 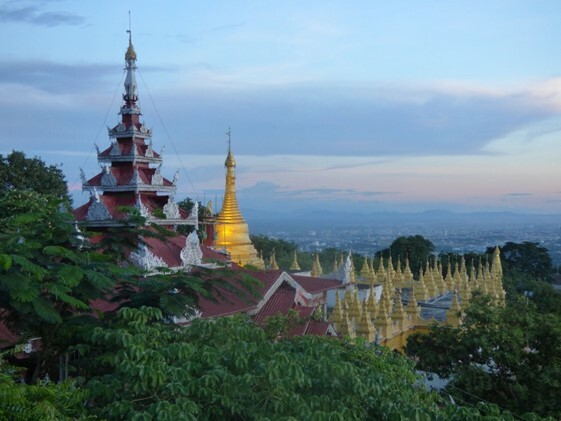 Although countries down to 15th rank were allowed into this phase, four of the five came from the top five. The exception being the fourth German team, Hoffenheim, who were beaten by Liverpool. The Russian team, CSKA Moscow (Country rank 7) completed the line up. In 2018/19, there will be no less than 14 non-Champion clubs with direct access, no qualifying match. They still come from six countries, but now the top four all get three non-Champion clubs. The third clubs from France and Russia (ranked 5/6) compete with the runners-up in countries ranked 7-15 for just two further places. There was logic to changing from three to four countries with the top numbers. The recent evolution of ranking point has seen two big gaps emerging. Rounding to the nearest who number, Spain had 105 points at the end of 2016/7, followed by Germany (79), England (76) and Italy (73). France, ranked 5th had only 57 points. While it may have appeared that another season would see Italy overtake England, what has actually happened is that German clubs have performed poorly, while the English have done well. Hence, England will probably rise to 2nd on the five-year aggregate, while Germany fall behind Italy. Giving the fourth placed teams a direct place without qualification seems a more contentious point. The only reason I can see for this is that UEFA feels it needs these teams in contention to build up the TV audience. Where the changes will be felt most of all is in the qualification procedure. More teams will have to play more matches in order to reach the group stage. For example, to get to the group stage this season, Celtic had to play six matches over seven mid-weeks. A fairly hefty early season programme with four of the games taking place before the first league game. If they are to repeat the feat in the new season, they will have to play eight matches on successive weeks. The pushing back of matches has added a preliminary round to the qualifying competition – and it is a strange and new idea. Four teams play the Preliminary round, for just one place in the First Qualifying Round. These teams will be the Champions of Gibraltar, Andorra, San Marino and Kosovo. There will be only three games in this, and this season they will all be played at the Victoria Stadium in Gibraltar. The “semi-finals” will be on Tuesday 26th June, with the final game on the following Friday. The other twist is that every Champions League team, knocked out in the qualification games will get a second chance in the Europa League. Also, in the Europa League, teams who have won their Championship but have been knocked out play in a section distinct from those who have qualified by cups or league position. This means that 12 of the 48 teams in the group stage will be National Champions. There will be 17 places given directly in the group stage to teams from the top 12 countries in the rankings. In all cases, these include the cup-winners (if not otherwise qualified for higher competition) and for five countries, Spain, England, Germany, Italy and France, it also includes the next best league side. This number is just one higher than in 2017-18 with the club that finishes fourth place in France being the one that gets the advantage here. Again, this comes at a cost in matches for the others. 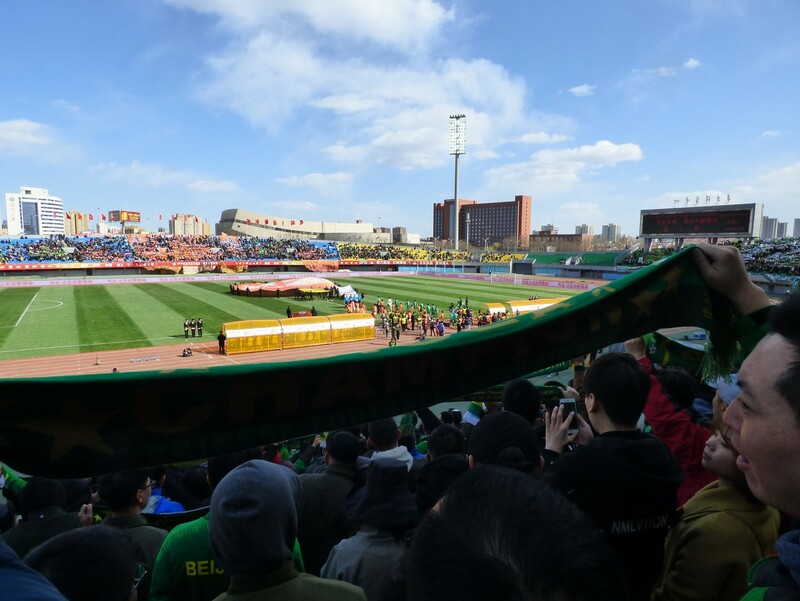 In 2017, 25 clubs had entry at the third qualification round stage, meaning two rounds, or four games to reach the groups. Only 12 teams get this in 2018 – and they are not from the top countries, but only from those which do not get two automatic spots in the groups. England’s seventh European club, will have to play three rounds, six matches to reach the group – they will start in the final week of July. For Scotland, only the Cup Winners get to start that late, with the other two teams starting in the First Qualification round, two weeks earlier. Countries such as both Northern Ireland, and the Republic of Ireland will have all three of their clubs starting in the First Qualification Round, while for Wales it is even worse as their three combatants will start in a Preliminary Round at the end of June. UEFA does not have to sell this much to the smaller nations. For most, they will find it is a take it or leave it situation alleviated by the rewards their clubs get just for taking part. Working from UEFA published figures, Welsh Champions, The New Saints will have received €800,000 for scraping through the first qualification round and getting hammered by a Croatian team in the next. This sum of money means that they can run a professional team in what is otherwise a semi-professional league without losing money year on year. It goes a long way to explain their dominance of the Welsh Premier League. The chairman, Mike Harris put in a lot of money to get them where they are today but does not have to keep spending to keep them there. What I find more surprising is that other Champions League do not all dominate their leagues to the same extent. When I spoke to Mike Harris at The New Saints’ first game of the season, I had asked him about the fact that there are only 12 teams in the top league in Wales, despite a general wish amongst fans to increase the numbers. He said he would quite like to see the number increased, but that funding would be a problem. Sums of money such as the €403,000 I have mentioned would be significantly diluted if there were more clubs. UEFA have promised with the new system that more money will be given to the smaller clubs – so those sums I have mentioned are all due to be increased in 2018/19. Even though the distribution through market pool is being reduced, (meaning the English teams do not benefit so much from the English TV deals), I cannot imagine any of the Premier clubs being worse off than under the current system. UEFA still consider it necessary to keep the structure in favour of the big clubs. There is a point to this. At least with this system, the clubs are tied into this money generation machine, and this is sending money down to the leagues in the smaller countries. Most of the 55 European associations run at least one division of professional football, but only 12 of them can claim an average attendance of over 10,000 per game. There isn’t a threat of big clubs pulling out of National Leagues and playing closed competitions amongst themselves. 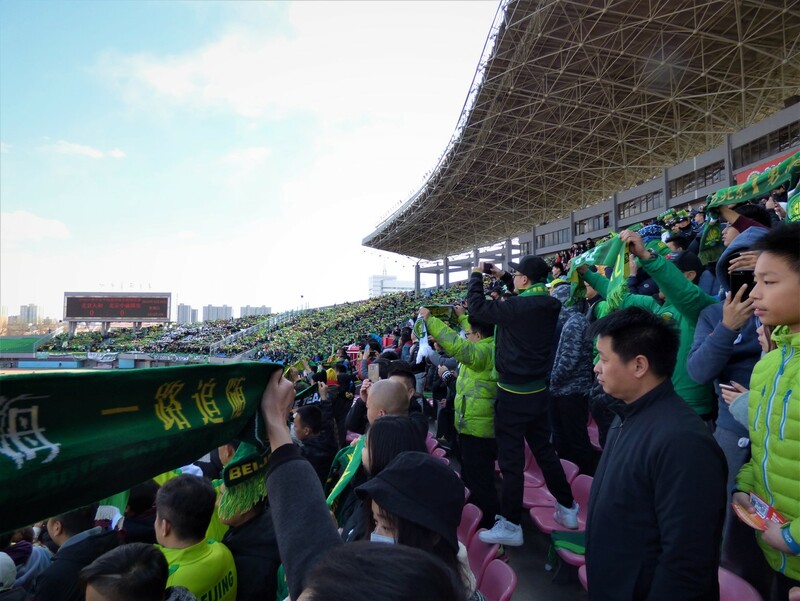 This will not happen as long as they can fill the stadiums and sell the TV rights for their domestic competitions, even when these are not very competitive. However, they are secure in the knowledge that each of the domestic leagues needs its best teams at least as much as the teams need the league. Hence the leagues would not be quick to respond to any UEFA edict to kick them out should they ever decide to remodel the Champions League without UEFA involvement. And while so many of the World’s best players are concentrated at the few clubs at the top of the few leagues, UEFA and FIFA need them to sell their own international tournaments. So, the small clubs in the small countries have to allow the sale of their football, and they have to accept the largesse as UEFA offer it, as for them there are no alternative tables to feed from. UEFA will continue to “evolve” the competitions every three years, as it keeps them in the headlines. The big clubs will again find the competitive bias switching their way, but the others will accept it because frankly they need the amounts that UEFA pass down from the €1.4 billion money pool. The Champions League final is on 26th May, and the World Cup starts nearly three weeks later. So how do ordinary mortals survive if starved of competitive football for so long. Fortunately, there is an answer, the CONIFA World Football Club will start on the final day of May and run for 10 days, bringing live football to stadiums around London, and streamed football to everyone else via the sponsor, Paddy Power’s website. CONI-who? I hear you ask, and how do they get to organise a World Football Cup? The World Football Cup (so named as to avoid any trade mark confusion with FIFA’s event soon afterwards) is the major tournament. This is the third running of the tournament, which is held every second year. Prior to CONIFA, there were five VIVA World Cup’s organised by the NF Board, and the FIFI World Cup organised by St. Pauli FC. These were played with varying number of teams but overall the number of teams and competitiveness of the matches has increased each tournament. So, the next question is who are the Non-FIFA nations? FIFA itself has more members than any other international body, including the United Nations. One reason for this is that in the past, it has included many small territories that the UN does not recognise as Nations. Hence the United Kingdom is not a single member of FIFA, not even the four obvious ones, but also includes a number of British Overseas Territories that joined FIFA some time back – such as Montserrat, the British Virgin Islands and the Caymans. With Gibraltar recently joining, the British contingent stands at 11 teams. Britain has more than anyone else, but we are not alone. The USA, Denmark, and even China are amongst those with multiple representation. The recent addition to FIFA rank of Kosovo and Gibraltar came against opposition, and FIFA have tightened up the rules for new entrants. This leaves a number of countries and territories disappointed, as they cannot get the FIFA recognition even though others in similar situations have already joined. CONIkFA ties up these with a number of other categories that where the people can be thought to have a “national identity” but are not countries by any definition. According to CONIFA general secretary, Sascha Düerkop, CONIFA has ten different categories of membership. I cannot list them all, but these are the main ones based on the clubs playing in this year’s World Football Cup. Some of these groupings may be questionable. I am not going into the politics of Tibet for example. In my mind a diaspora group means that the majority of the members of the group moved from the country of origin in the 20th or 21st centuries. 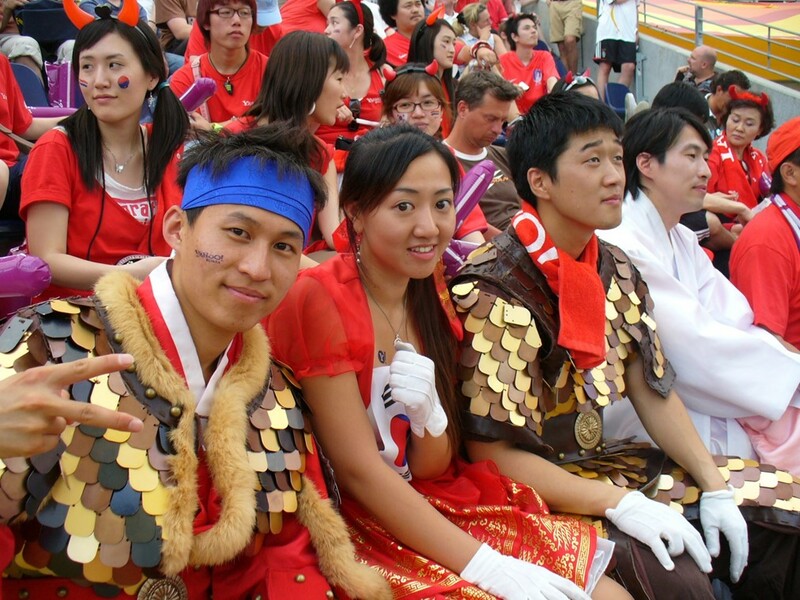 While I know the United Koreans are an ethnic group, a mixture of those who migrated (in many cases forcibly) during Japanese occupation and more recent migrants, they could be called a diaspora or a minority language group as well. I cannot say whether the Western Armenians are people who actually live in eastern Turkey (which is the area they originate from), or have migrated elsewhere, and I certainly cannot give the full degrees of separation of Matabeleland and Kabylie from Zimbabwe and Algeria. Sascha Düerkop told me that the pure regional teams such as Padania (Northern Italy) and Cascadia (North West USA /South West Canada) would not be able to apply in future. Despite this, CONIFA have recently accepted Yorkshire in membership (based on other criteria), but this does mean that an application from Surrey will be turned down, and there is no point in me trying to start a Cheltenhamshire team. Tuvalu will be unique amongst the teams in London for this tournament as they have taken part in FIFA World Cup qualifying games. 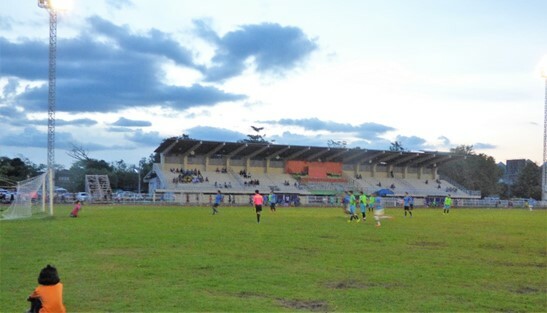 The 2007 Pacific Games were used as part of the qualification tournament for the 2010 World Cup and although Tuvalu would not have been allowed to progress, they played four games, including a draw with Tahiti before finishing bottom of their group. Likely to offer much stronger teams than Tuvalu, are those teams representing the unrecognised nations. These are areas where there is an effective government in control, but another nation still claims the territory and a majority of countries do not support their independence. There tends to be a state that is powerful enough in defence of the current status quo preventing a violent reversion of status. The Caucasus area of the former Soviet Union is about the most disputed series of territories around the world, with Russian support giving Abkhazia a level of independence while most of the world sees it as a breakaway from Georgia. Abkhazia both staged and won the 2016 CONIFA World Cup and are expected to field a strong side again. A similar long running dispute sees Cyprus divided with North Cyprus not being generally recognised, but Turkish support keeping them independent. Northern Cyprus staged a CONIFA European tournament last summer and finished second (to Padania). CONIFA works hard at being a non-political organisation, but by including some of the most political of countries as members, they cannot help but be political. Ideally, they would bring together diametrically opposite groupings, but in practice this does not happen. UEFA makes sure that Azerbaijan and Armenian sides do not meet in qualification groups, or European club games due to the various conflicts between these former soviet republics. CONIFA includes Nagorno Karabakh as a member. This is a self-governed state, with a majority Armenian population, but in an area generally recognised as being part of Azerbaijan. Hence when CONIFA had an application from a team with an Azeri majority population, their first comment was “You know Nagorno Karabakh is a member – is this a problem for you”. They then took this all the way through the application process without problem, until someone in the Azeri government said they could not join an organisation that has Nagorno Karabakh in it. Turkey is the main supporter of Northern Cyprus, and has enquired about TV feeds for earlier cups, but then not gone through with this because Iraqi Kurdistan was involved. Now while Iraqi Kurdistan only covers an area within Iraq, the idea of Kurdistan in general includes part of Turkey, so any promotion of Kurdish independence within Turkey would not be allowed – even when the area the team represents does not impinge on Turkish territory. This year, Iraqi Kurdistan have not qualified so the matches can be shown on Turkish TV. The existence of Northern Cyprus is opposed by Cyprus itself and their ambassador put in a protest about them having a team playing in the UK. I feel the protest was only made because it had to be made, and there was no real belief that they would be drummed out. CONIFA have actually used Northern Cypriot involvement to their advantage, staging their matches in Enfield close to the main centre of Turkish and Northern Cypriot communities in London. Similarly, the Panjab team play in Slough – close to the heart of a large Panjab diaspora. 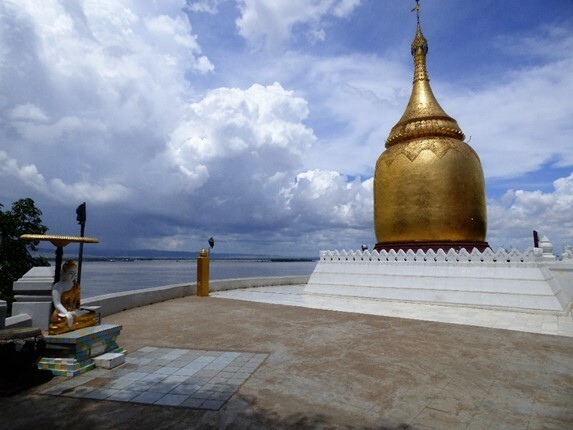 The most controversial of the teams included is Tibet. 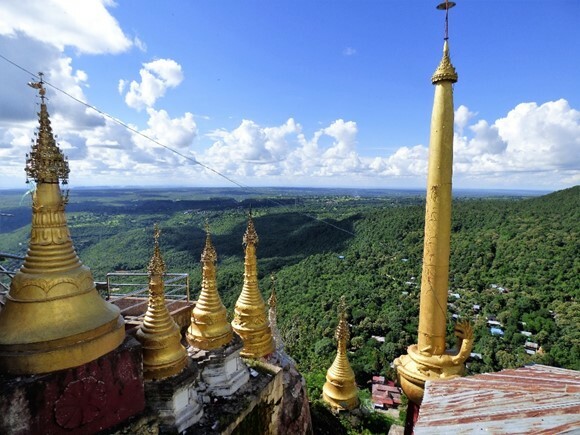 In the past the Chinese has always raised it hackles whenever there is any action that comes close to recognising the Dalai Lama’s government in exile. 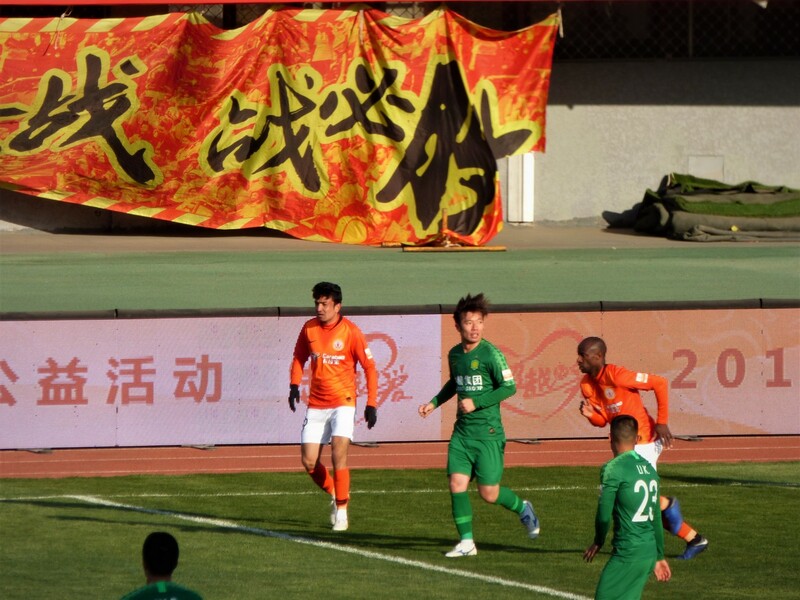 Already this year, the Tibetan situation has created problems in the footballing relationship between China and Germany. 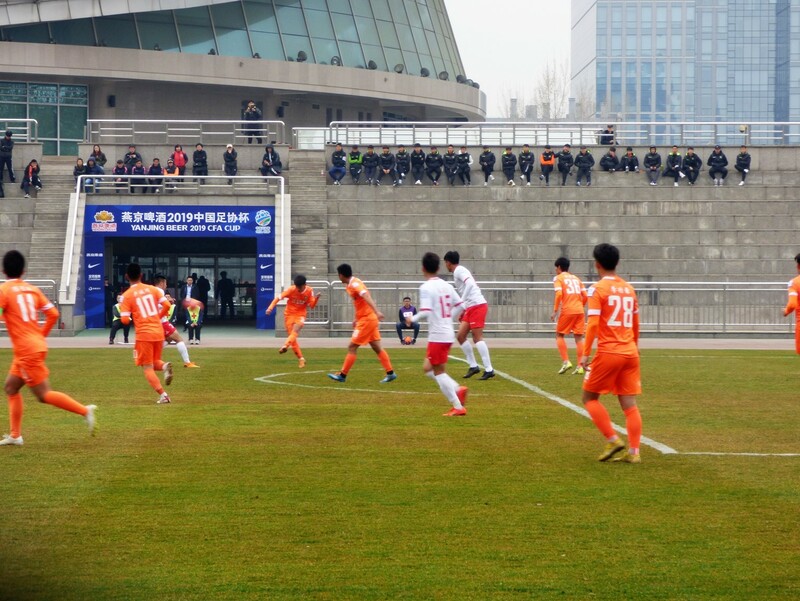 The Chinese had agreed to send a youth team to play teams in the South West Regionalliga in Germany – the free team each week in a 19-team league. 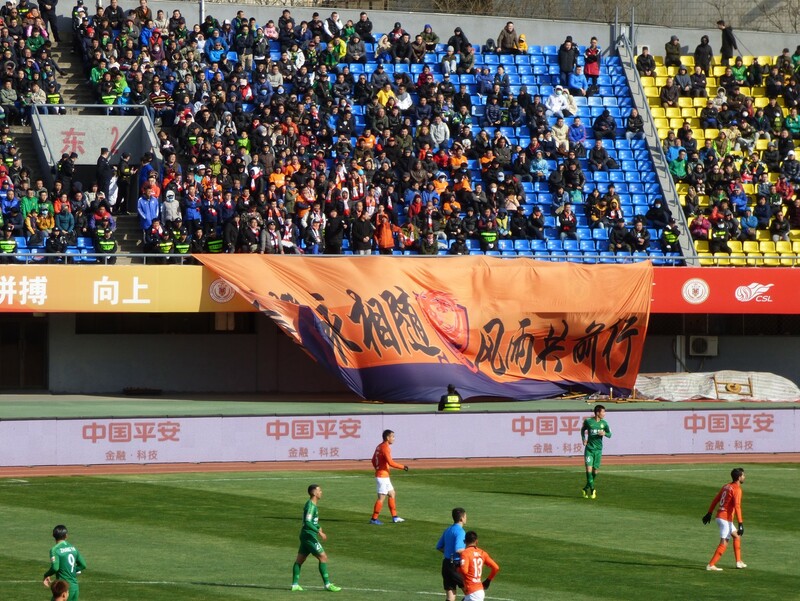 At the first of these games (in Mainz), pro-Tibet protesters unfurled flags, and there was a scuffle with Chinese spectators, the game was held up, but eventually completed. The DFB said they had no powers to stop protestors from showing up at the games, and the rest of the series of games was not played. I imagine many of the clubs were disappointed, as they were to be paid €15,000 Euros each to play. The incident generated far more publicity than if the protests had been allowed to go ahead with the flags ignored. 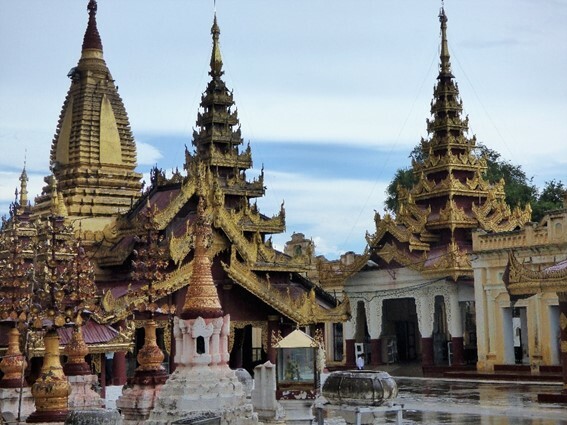 In the light of this, an offer from a smaller German club FV Lörrach-Brombach to play the Tibetan team in a friendly prior to the tournament in London was vetoed. The match was originally sanctioned by the local area FA, but later they changed their mind while refusing to state if pressure was brought to bear on the decision. 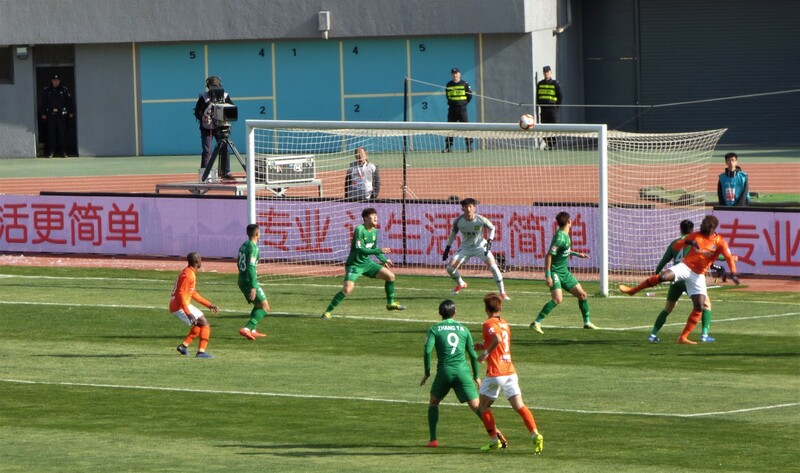 It does appear that the pressure came from the German FA, and not from China itself, and as yet, the Chinese have ignored the CONIFA tournament. 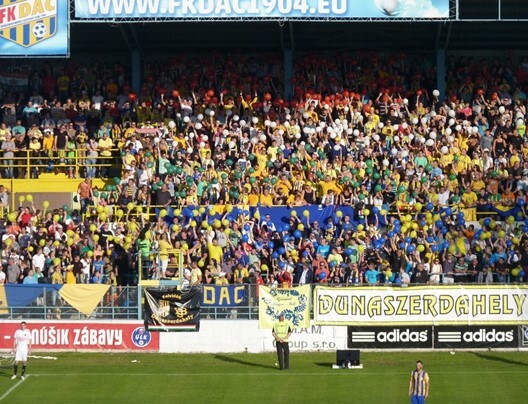 While initially trying to block CONIFA’s predecessors, it appears FIFA and UEFA are now content to ignore the organisation and leave any administration to local football administrations. With the football organisation here in England being what it is, this is guaranteed to cause confusion and a lack of decision. Players for the recently formed Yorkshire Independent FA have been going through a process of deregistering from their clubs before matches, and then signing on again afterwards, so as they are not members of affiliated clubs when the matches take place – and hence not subject to sanction. It is well within the power for any one of the County FA’s within Yorkshire, (the County has four) to register the team. The Manx team had a similar problem, but after lengthy process this has been solved. Initially, they went head to head with FIFA – but in turn FIFA, UEFA and the FA washed their hands and left it too the Isle of Man FA to deliberate on. Despite the Isle of Man not being an English County, it is treated as one by the FA. For that matter, so was Gibraltar for a long time until they decided to apply for an independent status. Gibraltar never entered FA Competition, but Man does, giving the locals a plethora of “national” teams to support. In the FA County Youth Cup, the Isle of Man reached the quarter finals this year, beating Cumberland, Lancashire and Middlesex before losing to Norfolk. This, I believe is limited to youth players at Island clubs, while as far as I know, their opponents do not use players from the professional clubs. The Isle of Man also played in this season’s FA Inter League competition. For this, players must be with a club in the league, and must never have held a professional contract. They do not have to be Manx, though – allowing amateur footballers who settle on the Island to play for this team immediately. In this, the Isle of Man beat the eterborough & District League and the Liverpool League before losing to the North Riding league. In 2006, they won this competition and went on the play in the UEFA Regions Cup – representing England. They took the field wearing England colours, not those of Man, so three lions, rather than three legs on the badge. The Isle of Man also play in the Island games competition, which plays in the odd numbered years, (while CONIFA use the even numbers). The Island games team would apply a residential qualification (as minimum) for incomers, while the CONIFA team can choose its own parameters, making it the only one likely to include Manxman who have moved off the Island. Despite the various rules, the majority of all three men’s representative teams are the same. Talking to Sascha, I got an idea of the amount of enthusiasm those running the tournament have for their cause. Even with the headaches this must create. 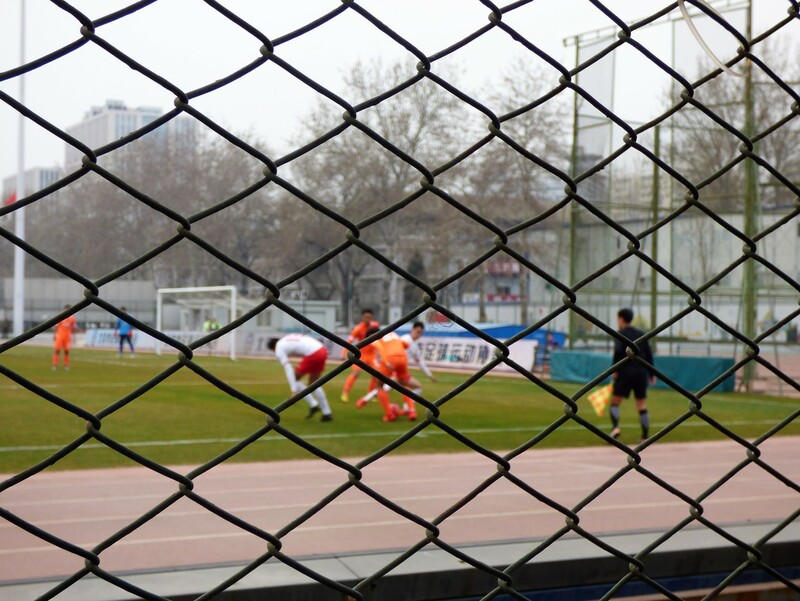 As tournaments approach, running CONIFA is a full-time job, but they do not pay their officials. They do not even always get expenses. During his week in London, Sascha not only gets to drink with people like me, but also has to finalise details for venues, transport and accommodation – and hope that they can get enough sponsors and ticket sales to make the numbers add up. While the sponsorship from Paddy Power is generous and essential, it does not completely cover transport and accommodation. For those wanting to see the best teams, the obvious place to start would be the semi-finals in Carshalton the final games in Enfield. I feel that the rest needs to be seen, so on the final day, I will head to Enfield for the final (6 pm) after seeing the 15th/16th placement game at Bedfont (12 noon). The tournament uses six dates over ten days, and every team plays on every match day. Food for thought for professional managers who complain about their schedules. 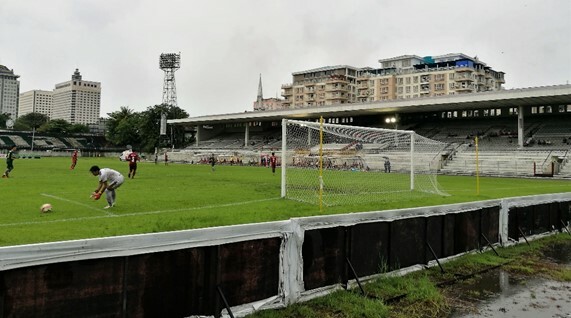 I have seen comments from people who made it to Abkhazia for the last tournament that some teams were no more than Sunday league kickers, but with a more organised qualification structure, the weakest are not being represented this time around, so we may not get any double figure scores. The strongest teams are likely to be those that have home countries and can get support there, with the probably exception of Tuvalu, where the player pool is too small. Hence we may expect good performances from Abkhazia and Northern Cyprus, and also strong teams from the two Hungarian ethnic sides (Felvidek and Szekely Land). Padania gets support from the smaller cities in the region and may well be able to field some good semi-professional players. I’ll be interested to gauge the strength of the United Koreans in Japan, and Cascadia – as both have their domestic seasons running at the same time. 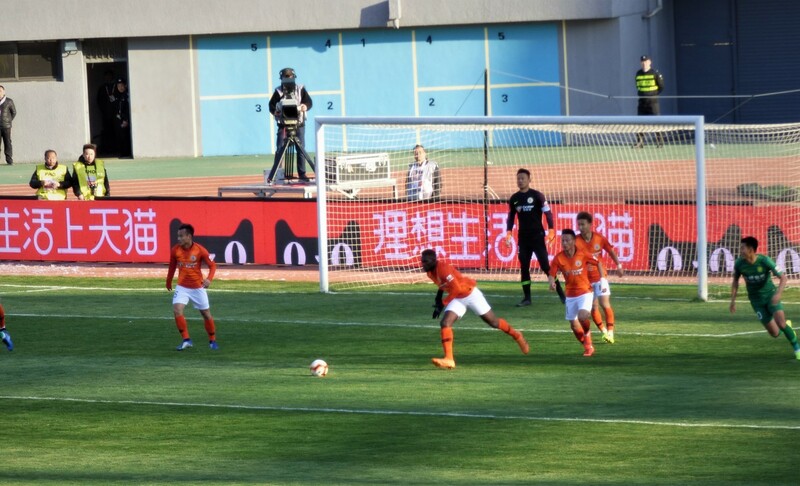 The preliminary squads will be announced in the next week, and while one cannot expect many famous players, the United Koreans team will include An Yong Hak, who has 38 caps for North Korea, including starting all three group games in the 2010 World Cup in South Africa, (and incidentally in the qualifying game I saw in Pyongyang). If you are only interested in the highest quality of football, and over hyped TV coverage, then ignore all this and wait for the World Cup to come to our screens. If you want your football to be more fun, then the CONIFA World Football Cup is the place to be. 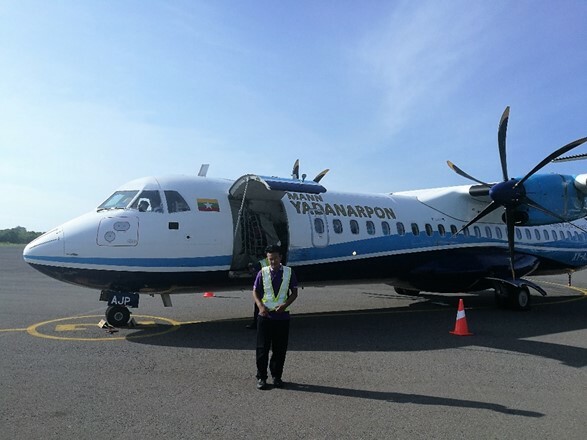 I thought my journey from Myanmar to Buriram might be a problem. Although it was two flights with a single airline, I would still have to pick up my luggage while changing, check it into the connecting flight and go through immigration in Bangkok. 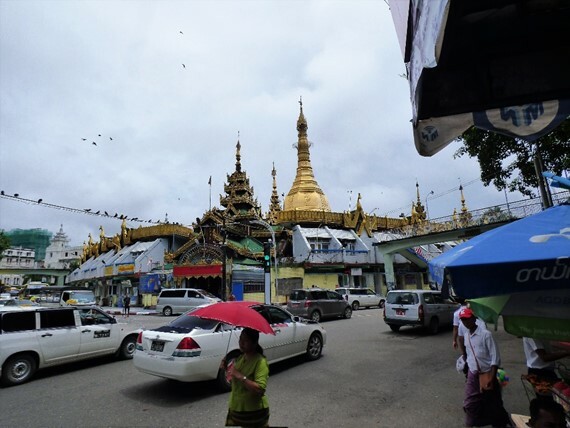 Fortunately, my morning flight from Yangon was on-time and two hours was easily sufficient to arrange the change. On the Bangkok to Buriram flight, I saw something which I must say it is unusual generally, but especially so in Asian football. There were a small number of passengers wearing football shirts and these were not the shirts of a club from thousands of miles away. 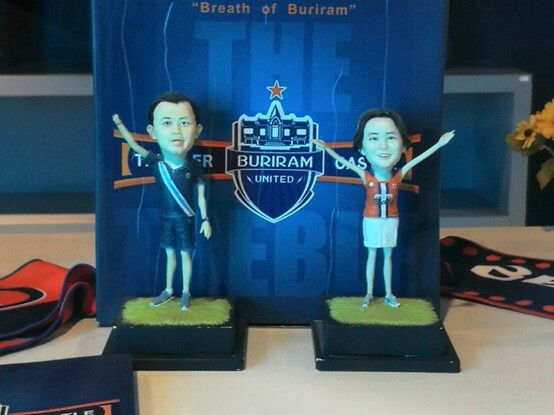 These are the shirts of Buriram United, the club I intended to see that evening. 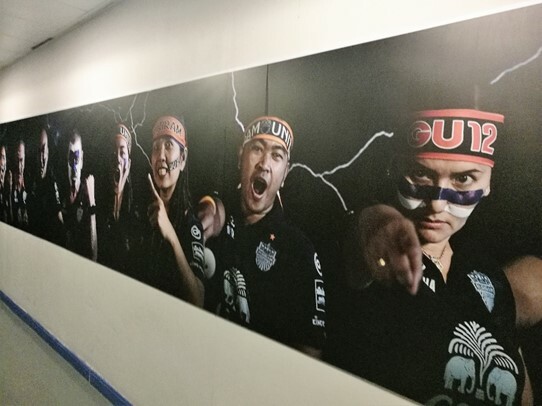 It is a sign of the remarkable story of Buriram United, who are already the most successful club in Thailand, and by some metrics, could be considered the best on the continent. 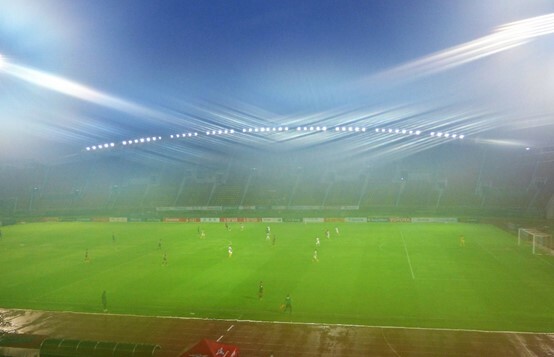 To try and unravel this, I need to look back into the development of the Thai Football League, which is one of the best demonstrations in Asia of what can be achieved. 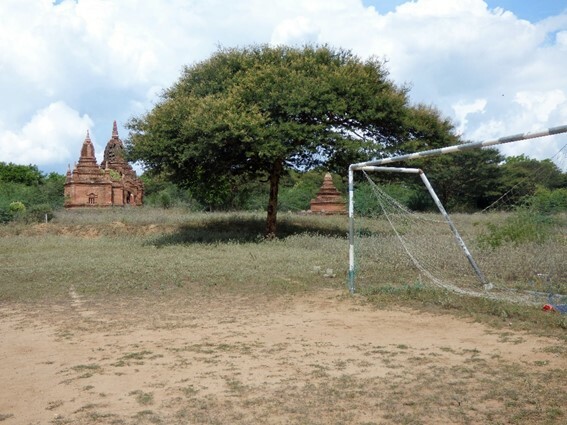 My first football games in Thailand were in 1990, part of a few trips for work that I made to the region at this time. 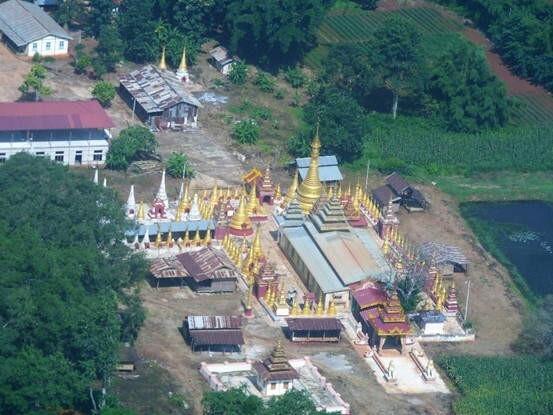 I was based close to Rayong, and my first game was on nothing more than an open field with a tent. This was the final of a local provincial tournament. 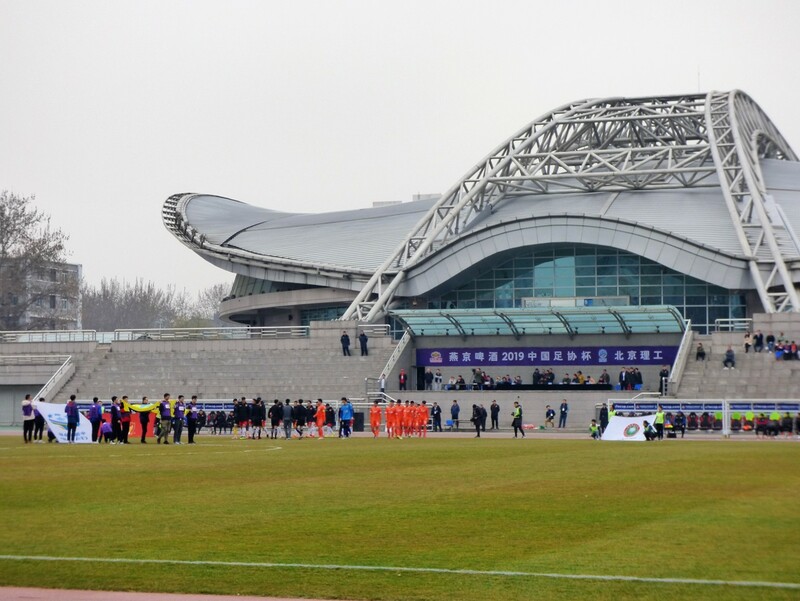 The scale of development is such that the field is now under a sports hall, while close by, a new stadium has been developed. All football in Thailand at the time was tournament based. Inter-provincial tournaments played between different areas of the country, while club competitions were played by clubs within a smaller area. 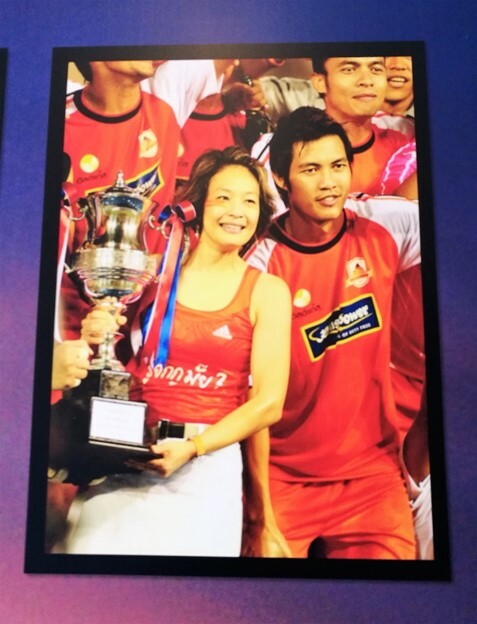 One only ever heard about the Bangkok area club, with the Kor Royal Cup being recognised as the Thai Championship. I saw the final of this in Bangkok in June 1990. The crowd was sparse, not into four figures. All the clubs in the tournament were associated with companies or government department around Bangkok. My final saw Port Authority of Thailand beat Thai Farmers Bank 2-1 a.e.t. 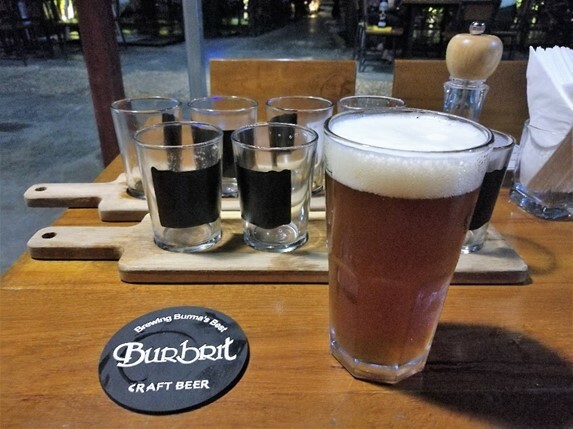 In 1996, a league was started, but this was still an all Bangkok institution. 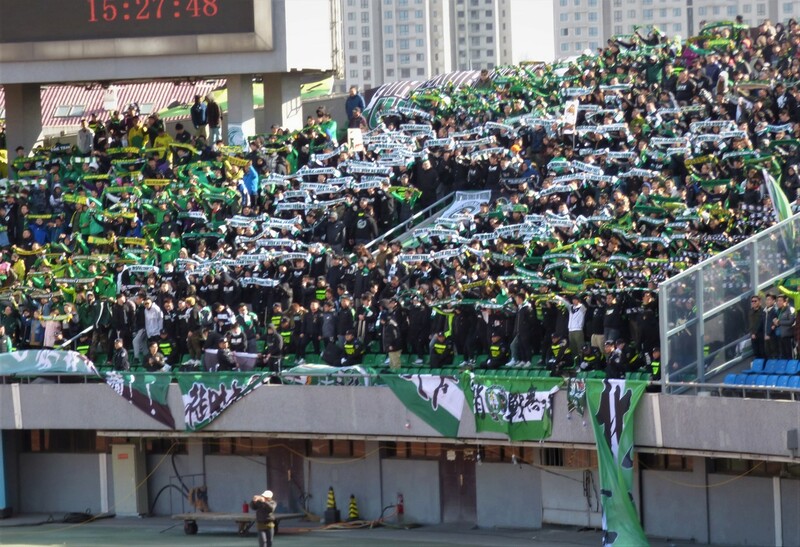 A second parallel league was started for provincial teams in 1999. 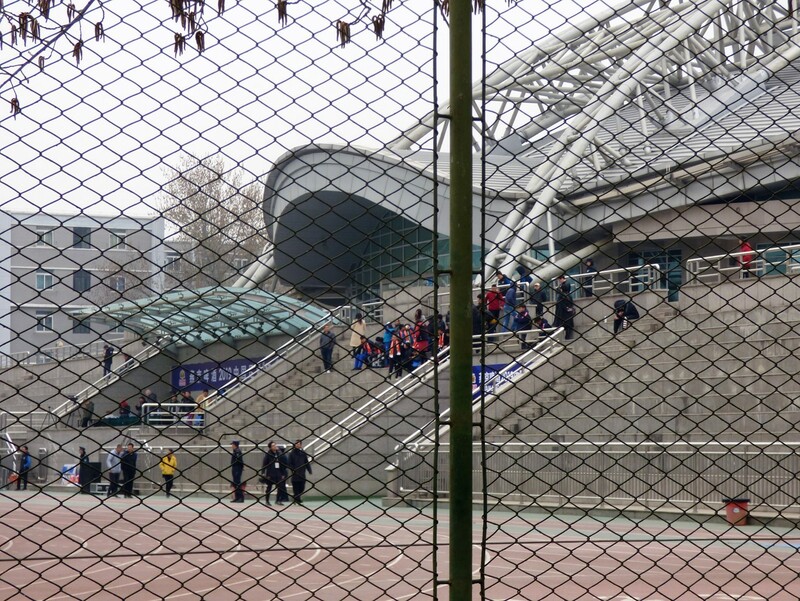 Outside the I-mobile or Thunder Castle stadium pre-match. Changes really started in 2005, when the top two provincial teams, Chonburi and Suphanburi were added to the Thai League. 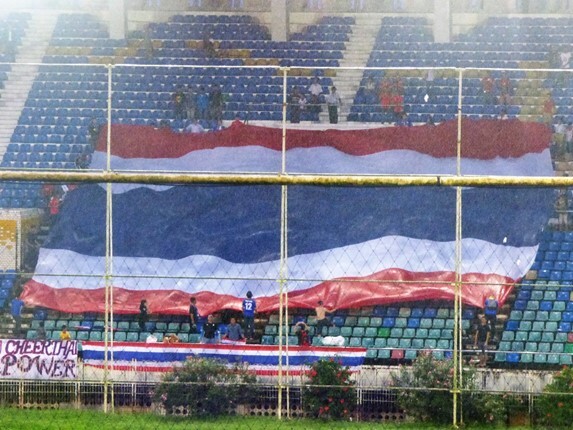 This did not create a national league, as neither was that far removed from Bangkok, but at least they were outside the metropolitan area. 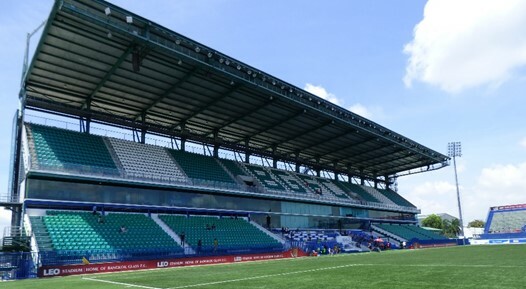 Chonburi finished mid-table, while Supanburi fared poorly and would have been relegated in further reorganisation had not taken place. Technically, the two leagues merged, but this did not mean a great deal. 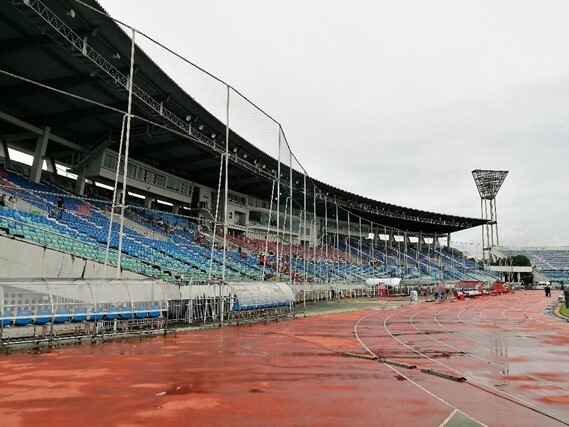 There were now four clubs from outside the Bangkok area, thanks to the promotion of Royal Thai Police and Royal Thai Navy, who both used stadiums in neighbouring provinces. 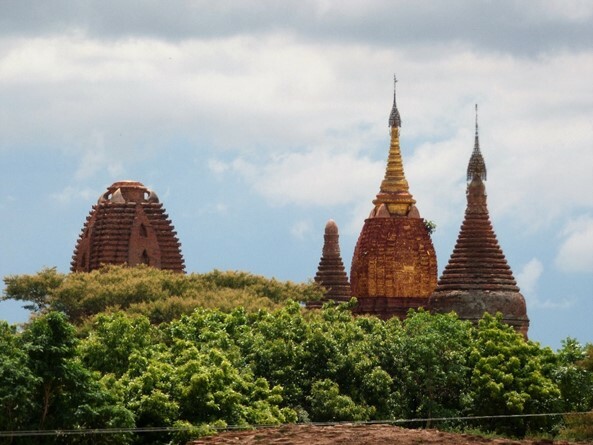 A year later, the club of the Provincial Electricity Authority, PEA decided to head away from the capital moving north to the ancient city of Ayutthaya. 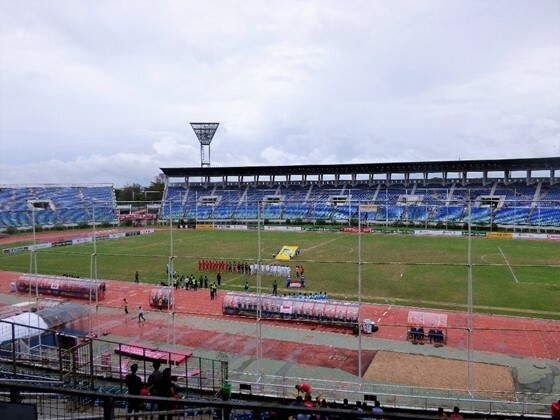 With increased crowds, they won the title, but their stay in Ayutthaya was to only be for two seasons. 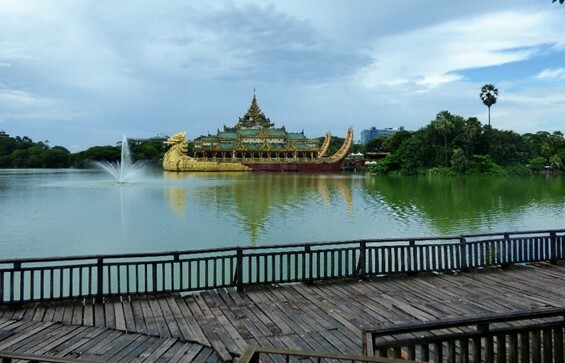 After a second, less successful season the club was bought out by politician Newin Chidchob. Chidchob had been a minister in Thaksin Shinawatra’s government, but had avoided the fall out when Shinawatra fell from grace. He went on to be critical of his former leader when groups that wanted him returned to political life were protesting early in 2009. 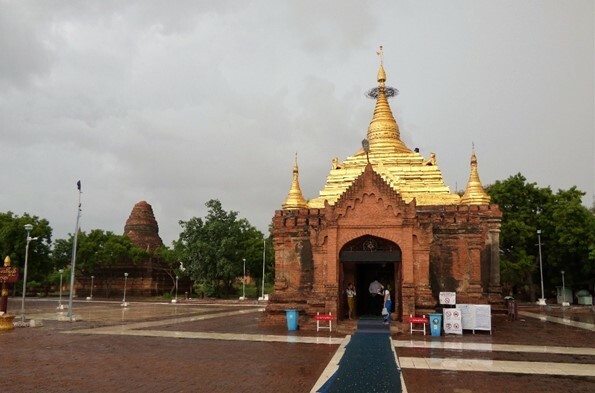 Chidchob moved his new club to the city of Buriram, which was where his political power base was. 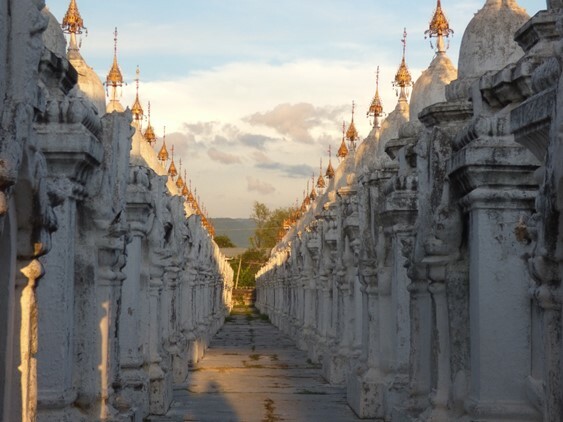 Buriram is a fairly nondescript city in North Eastern Thailand. 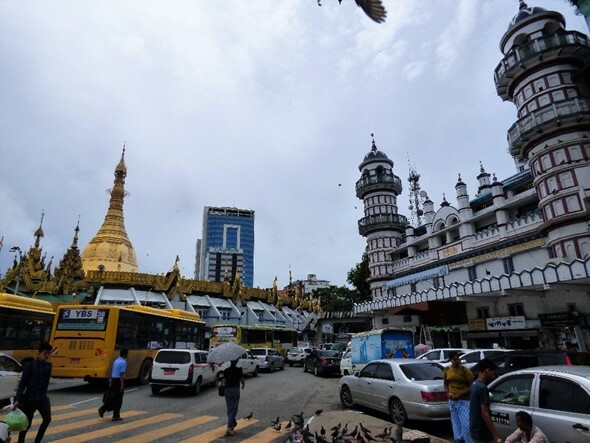 By bus, it takes around 5 hours to get to the capital, (when I tried, it was nearer to six, but the last hour was all within metropolitan Bangkok as the weather and traffic combined to delay all). 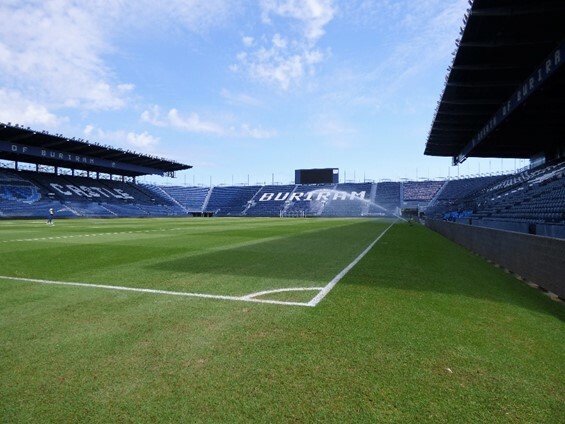 There was an added confusion to football in Buriram, as also in 2009, Buriram FC were founded and took a place in the regional league, playing at the Buriram Rajabhat University Stadium. Not that Chidchob was going to see this as a rival, the owner of the other club being none other than his wife, Mrs Karuna Chidchob. 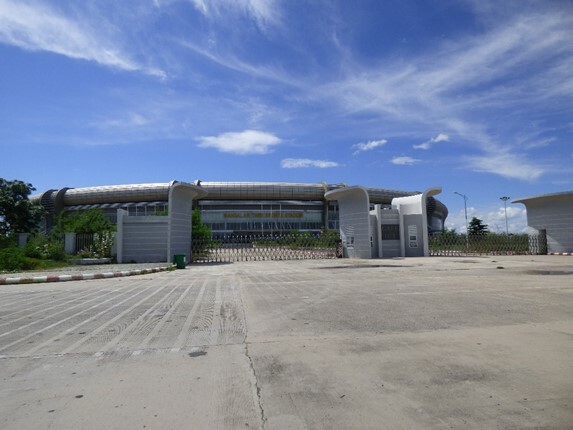 The stadium that Newin’s club had to use when moving to the city was the provincial stadium, and is 7km from the centre of town, but with promotion, Buriram FC soon had to move there as well. Since moving to Buriram, Newin Chidchob’s club have won 5 out of 7 Thai League titles, four Thai FA Cups, Five League Cups, four Kor Royal Cups (now the Thai Supercup) and two Mekong Club championships. 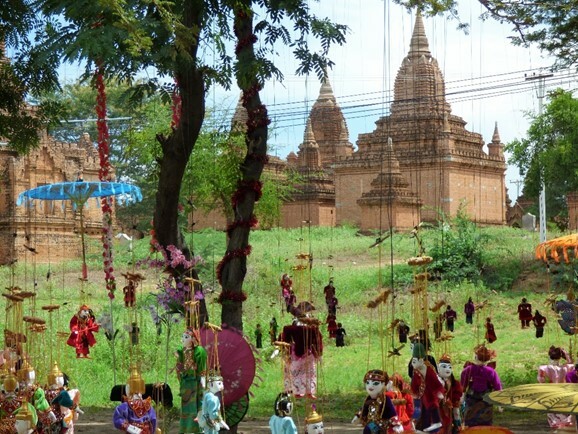 The Mekong championship is competed for by four or five South East Asian Champions. 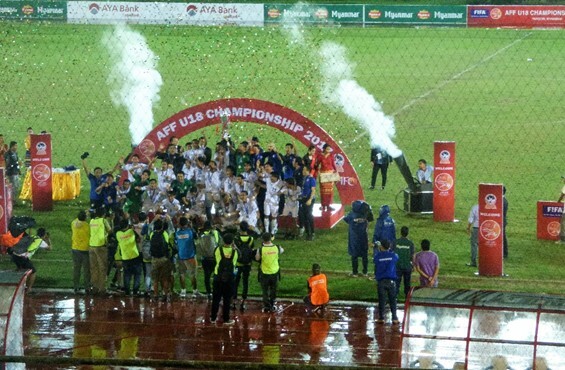 It has ran for four seasons, with Binh Duong (Vietnam) winning the inaugural cup (no Thai entrant, all games in Vietnam), and Thai teams winning the rest. 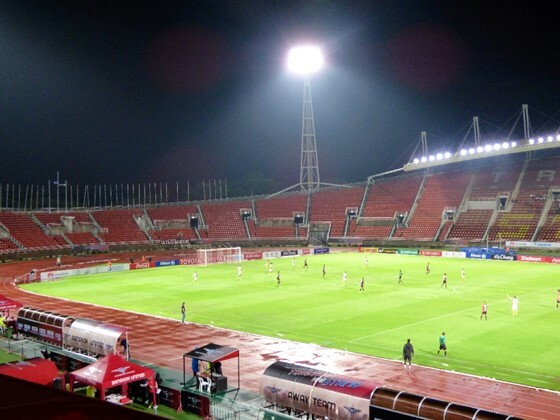 Buriram’s biggest rivals, Muang Thong United being the current holders. 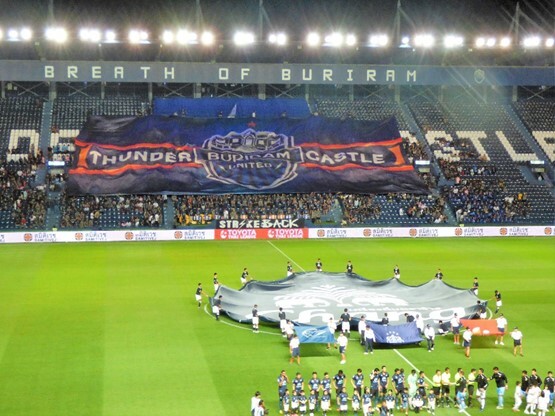 Buriram have also reached the knock out rounds of the AFC Champions League once, when they reached the quarter-finals. Game over – so its time to greet the fans. Meanwhile, Buriram FC were also going from success to success. 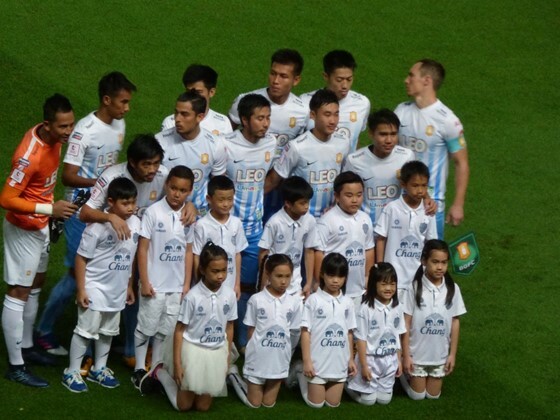 Two promotions had placed them one level behind Buriram PEA in 2011. The 2011 season was remarkable for the city, as both teams won their divisions. This presented the potential for the city to have two teams in the top division, with a husband and wife partnership as the two club presidents. 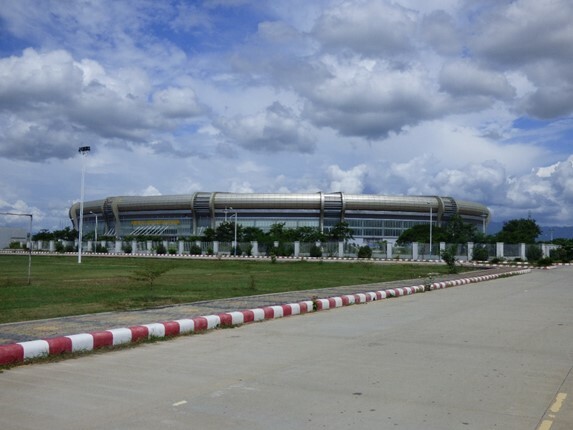 Also, during 2011, they opened the new stadium, known as the Buriram Stadium, the Thunder Castle Stadium, or the (insert sponsors name*) Stadium. (*I-mobile in 2017, Chang in 2018). The Stadium was built in 256 days, which is proudly proclaimed as a record for building a stadium (certified by FIFA, no less, as FIFA love to accredit a record that cannot be proved or disproved). 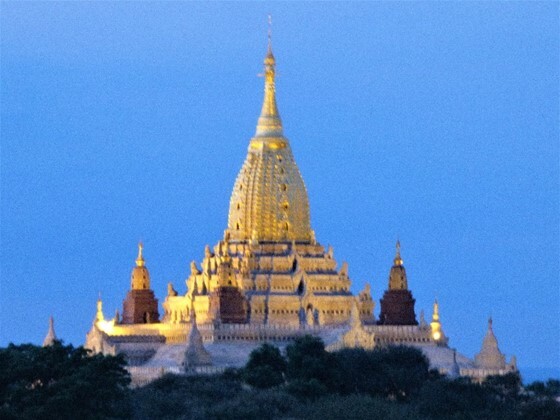 Of course, it would not be acceptable for his and hers football teams to play in the same league, so for 2012, a new name, Buriram United appeared in the top division. 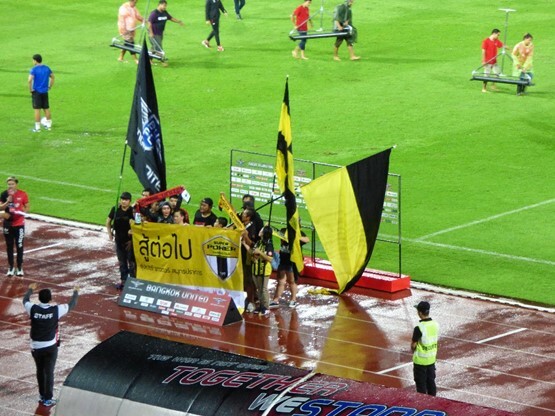 In Thailand, the moving of rights for a club in a division is allowed. 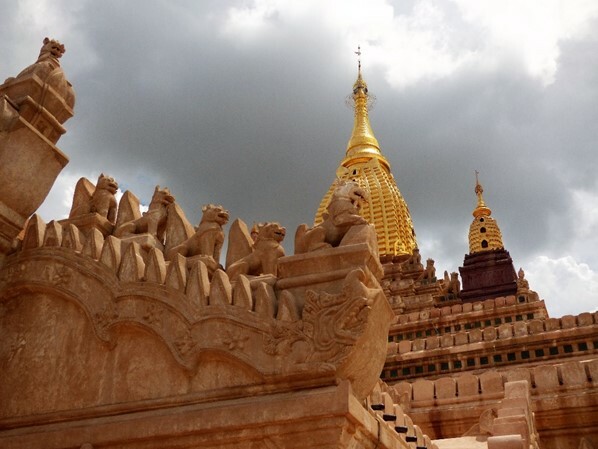 After all, that is how PEA moved to Buriram in the first place. 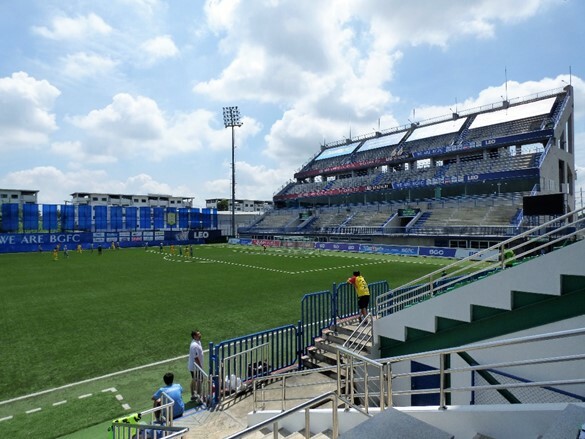 The Chidcomb’s managed to sell the club rights to the furthest point they could find from Buriram, while remaining in Thailand, and so Wuachon United were created, sharing a ground and at least partial ownership with Songkhla FC, a team one division lower. 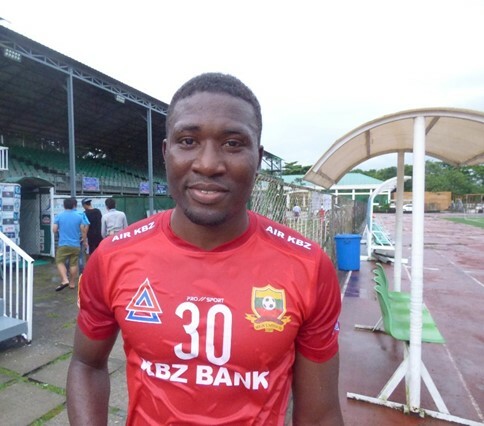 Newin Chidcomb said at the time that this was to help football in Southern Thailand, a region that had never been represented at the top level. One can be certain that if this is the case, then he also had something to gain in literally selling the club south. I just cannot specify if this was for political advantage, economic advantage or a mixture of the two. 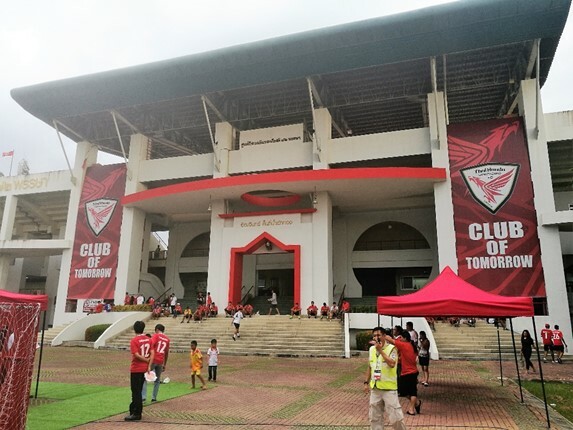 The name Wauchon existed for one season only, as Songkhla FC were relegated and the club owners decided to merge the two as Songkhla United. 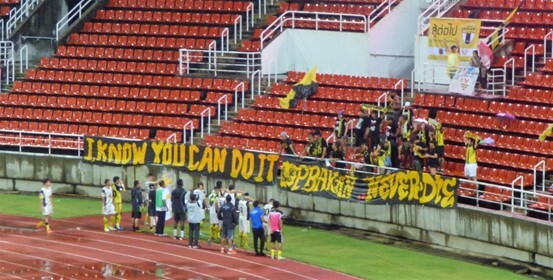 Songkhla United managed a further two seasons in the top division, and then three at the second level. They lost 1-0 in the match I saw at Trat, which helped both in securing their relegation, and making sure Trat just escaped. For 2018, they have failed to gain a license for the third level, and hence drop an extra step. Meanwhile Chidcomb’s development of the site around the new stadium has increased. There is a small retail area, a modern hotel, the club superstore and a motor racetrack. 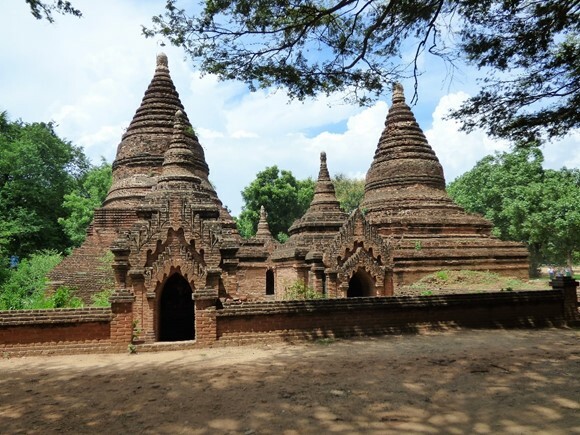 The oddest of the features is a small castle, which is a replica of the ancient Hindu stone castle at Phanom Rung. The castle features on the club badge, along with two lightning bolts, a remembrance of the club’s origin as PEA. 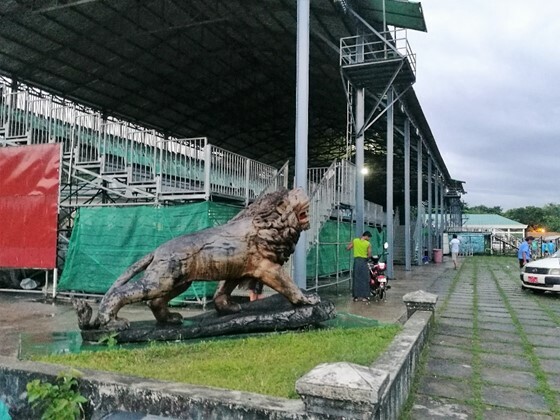 I went back the day after the match to talk to Bubet Suppipat about the club, and was surprised to see a steady stream of tourists coming into the ground to take a look around, and see the entrance to the dressing rooms and take a selfie in front of the stand. I talked to a few of these and many were up on a trip that took in just the one game, as they came from towns in other parts of Thailand. Coming to get you? The passage leading to the away dressing rooms! Not quite the tours on offer at Old Trafford or the Bernabeu, but one can see that the club is selling itself as a destination. 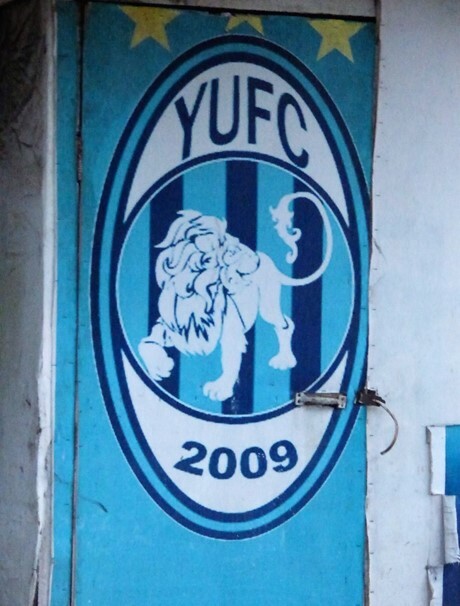 The club name is highly prominent around the town, with posters and a banner selling the fixtures. If the objective is to use the sporting facilities to put the city’s name on the map, then it appears to be working. 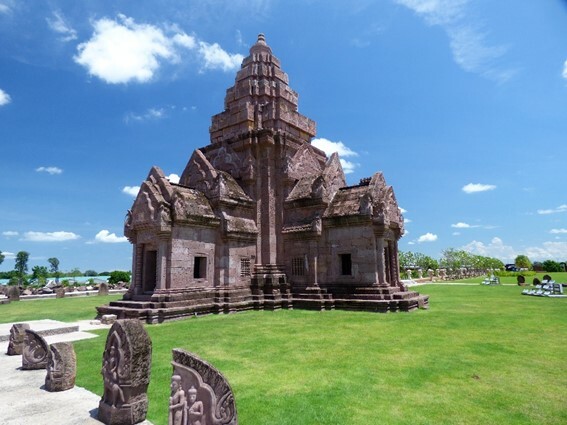 If you look on travel sites, such as Wikivoyage, then Buriram is listed as a “fairly nondescript town”, best utilised by tourists as a base for visiting ancient sites (such as Phanom Rung) in the area around it. These are well spread out, so time and transport would be required. I can confirm that there is not a great deal to see in the town itself, although it is appears to be neat, clean and relatively prosperous. What no visitor to the town cannot miss is that this is the home of Chidcomb’s ventures – the football club and the racetrack. You cannot avoid seeing posters advertising these. While in the town during the day, I spotted a European couple who had been on the bus from the airport with me. 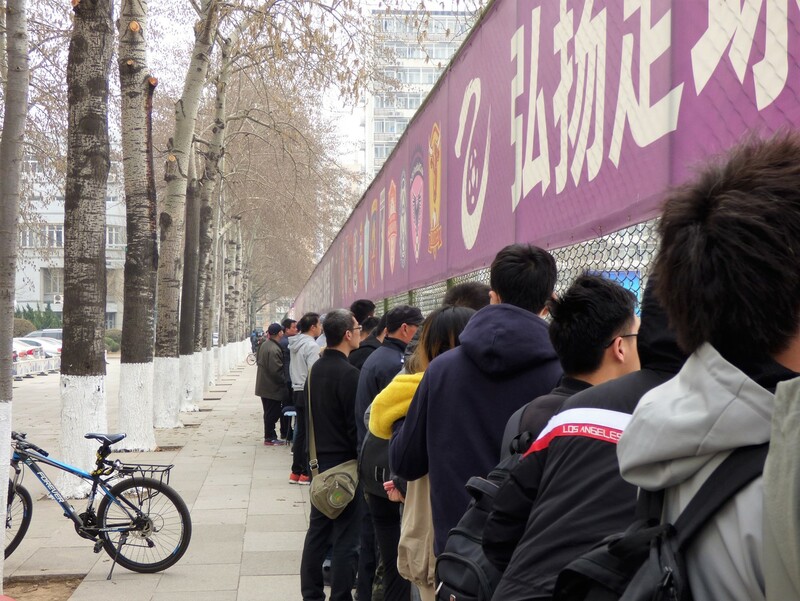 While they had no thoughts of football before arriving, they were now considering going to the game, (they may well have been put off by the 4 km to the stadium and lack of public transport). Bubet Suppipat, who also goes by the name Golf met me at the stadium after the match. For a while, I thought the meeting would not take place. It was originally scheduled for 10.00, but actually happened after lunch. 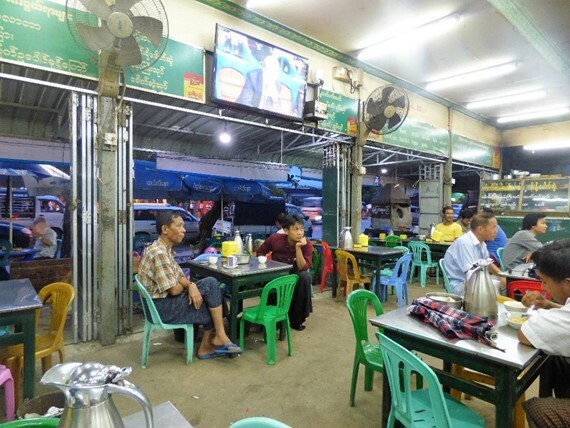 Fortunately for me, as I have mentioned, the site has a few cafes where I could find some lunch. The delay was caused by an impromptu meeting requested by Newin Chidcomb. Clearly a request that cannot be ignored. 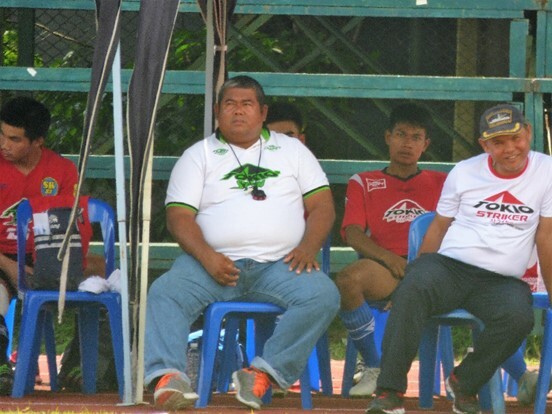 Golf had football administration experience before coming to Buriram, and had been chief operating officer of Lao Toyota, the leading club in neighbouring Laos. 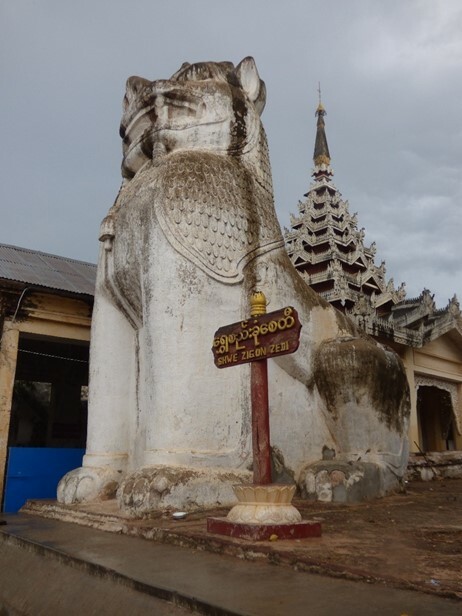 He confirmed to me that Laotian football is far behind most of the South East Asian countries, (but of course, it is still somewhere I would like to visit). After discussing the history of the club with me, we went on to the current financial situation. 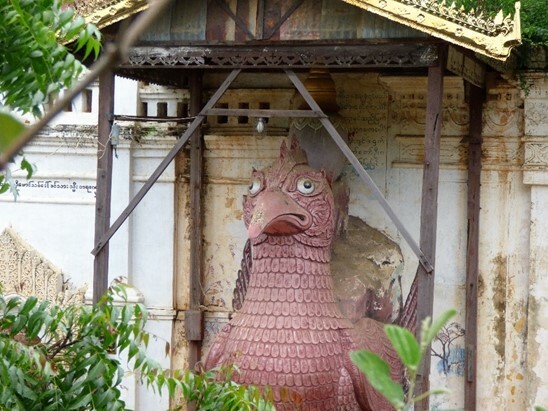 He did not know the exact budget, but thought it to be around 200 million baht. This is equivalent to about £4.5 million, and was ten times the figure mentioned by Rayong in the next division down. What is remarkable though is not the size of the budget, but the fact that the club is claiming to be breaking even. The basis of this is the merchandising operation, which apparently raises 40% of the clubs income. 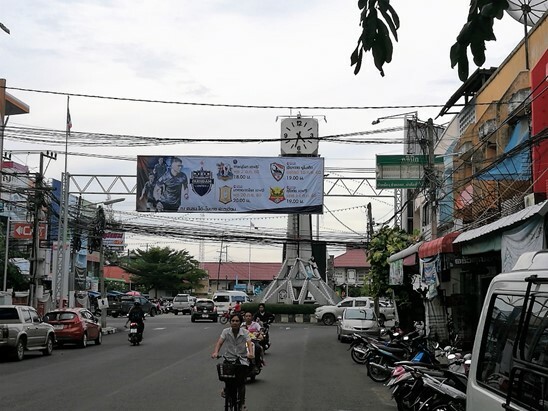 The city of Buriram has a population of around 30,000 – but the football club has sold around 700,000 football shirts in one season, and they were at pains to points out that this is only part of the operation, the figure does not include other parts of the kit, T-shirts, and other souvenirs. A similar portion of the budget comes from sponsorship, with the brewers Chang being named on the shirts and taking over the naming rights at the stadium for 2018. With the rest of the budget covered by matchday income and the central allocation, (from the FA of Thailand, covering income from the TV contract, and league sponsors Toyota), it appears that Mr. Chidcomb no longer has to put money into his club to keep them at the top of the league. Golf also mentioned plans to float on the stock market. When I expressed a need for caution, based on the poor record of stock market floats for football clubs in Europe, he corrected himself. It is not the football club itself that may be capitalised on the stock market, but the merchandising arm. 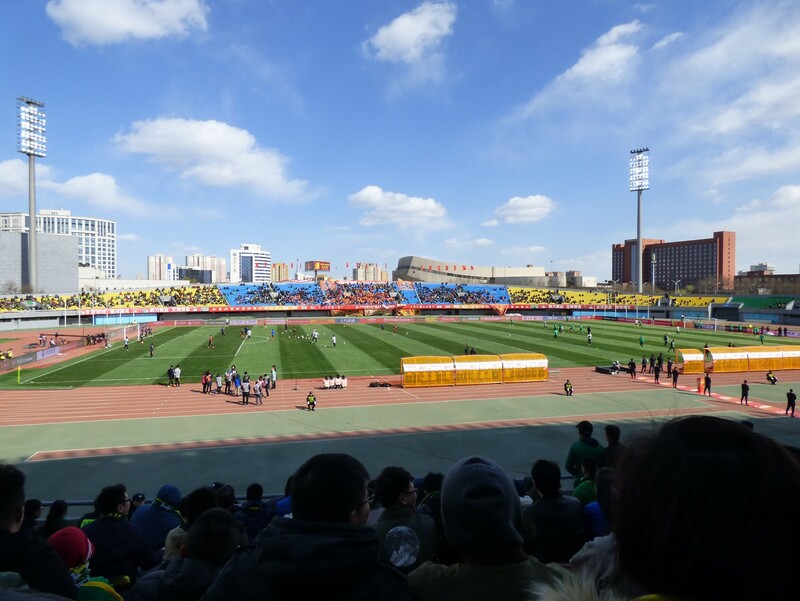 The stadium is straight forward, a single tier of seats running up to an even height all around, albeit that the lowest seat level being much too close to ground level. 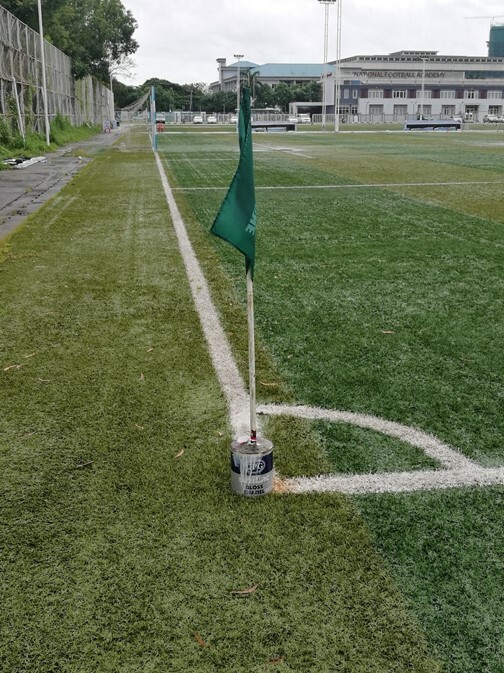 There is no track, so you are reasonably close to the pitch. Roofs on both sides, open behind the goals, sight lines are good except when too low. Unusually, the major side of the ground, with executive boxes, etc is on the East of the stadium, not the West. They do not tend to start matches before sundown, so this is less important. 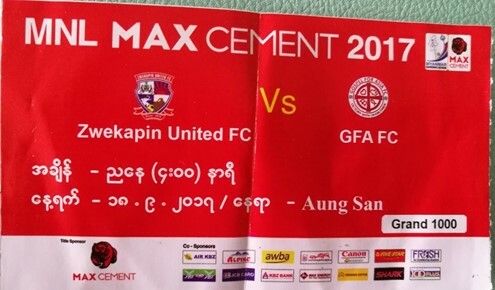 A near square 32-page programme was sold for 20 Baht. It is a glossy affair, well produced but would still be short on information even if I could read Thai. As far as the match was concerned, I found it dispiriting. Buriram won with a goal in the 90th minute, a header from a Brazilian player Coelho getting his head to a free kick sent on by Suchao. 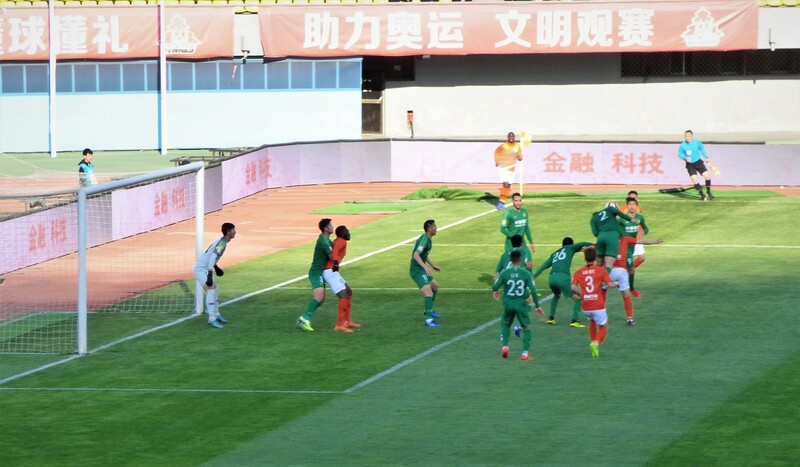 The free kick was won by their other Brazilian, Diogo who spotted the place where he would clearly get fouled if he ran through. Throughout the game the home side relied too much on these two players, who were generally poor until the final ten minutes, when they were clearly trying to set each other up for the goal. It was the rest of the cynical play that I found worse though. Bangkok Glass have a talented young Thai player called Apisit, who simply attracted fouls until he went off injured. The injury was caused after he had won a corner. The Buriram player who had knocked the ball out then simply pushed Apisit into the advertising hoardings as hard as he could. At this point Apisit had has knee bandaged, but carried on. It took at least three more hacking fouls before he went off. On a number of occasions Glass tried to run the ball through the midfield in counter attacking moves. As there was a risk of getting clear, the player would generally be fouled or pulled back by the Buriram captain Jakkaphan – I counted at least four occasions where this would earn a yellow card in Europe before he finally got a booking late in injury time. One final thought of thanks to the good people at the football club, as I mentioned, it is difficult for a foreigner with no knowledge of the area to find their way back from the ground – at least without their own transport, but the club arranged to get me into town both after the match (when I shared with one of the journalists), and after my discussions the following day. 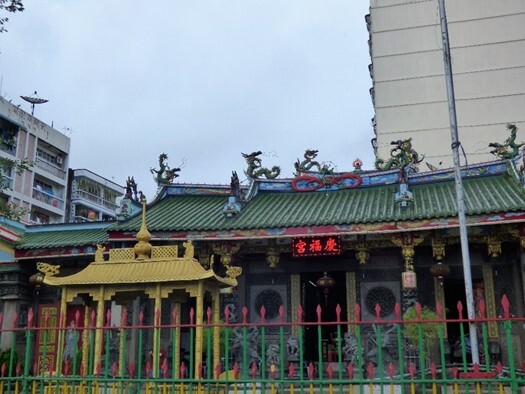 The replica temple in the grounds. 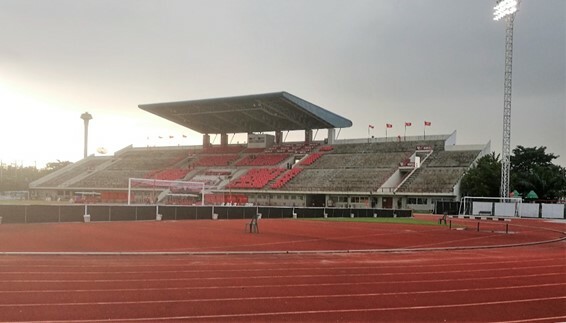 The Thammaset University Stadium is set on campus, about 40 km north of Bangkok centre, it is a 25,000 all seat stadium, which looks a little like a small brother to the national Rajamangala stadium, there are only 12 rows of seats in front of the scoreboard at one end while the numbers increase as you move to the centre, with around 50 rows opposite the centre line. There is cover on both sides, but not behind the goals, although the cover does not lean out far enough to protect the front rows on either side. When I left the hotel, the skies were grey, but it was dry after a short lunchtime storm. As we headed north, the driver pointed out the “heavy rain clouds” ahead. In Bangkok, heavy rain is defined as such that you cannot see out of the car windows, even with the wipers going full pelt. By the time we came off the elevated tollway, about five miles from the ground, the sideroads are completely flooded. You can see mopeds struggling to pass through water around 6 inches feet, and people who have taken their shoes off gingerly trying to walk through, not being able to see the ground. The unlikely named Super Power Samut Prakan are the visitors today, while Bangkok United are the team that plays at Thammaset. It is an uneven contest, as United are near the top of the league and Prakan are rock bottom, with just one point from 28 games. 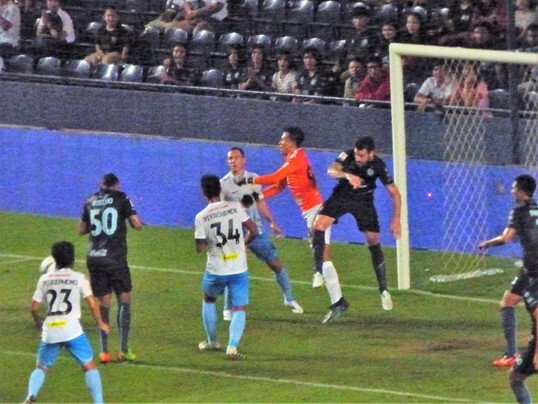 United had lost to second placed Muang Thong United on Wednesday, which left them six points behind second place, and 12 behind the leaders Buriram. So despite the comment from coach Alexandre Polking at the post-match press conference that he wants to win every match, and that he is not prioritising the cup, seven changes from Wednesday’s game suggests that players are being rested. One could say that this paid off, as they easily progressed through the following week’s cup game, beating mid-table Port by 5-1. 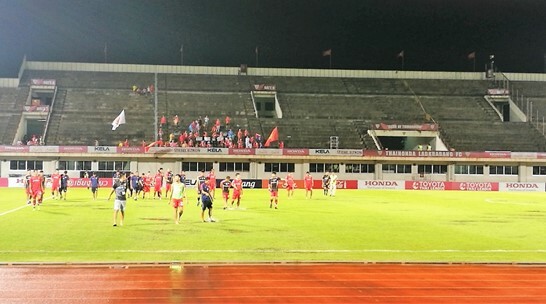 United ended up reaching the cup final, before losing to Changrai United. 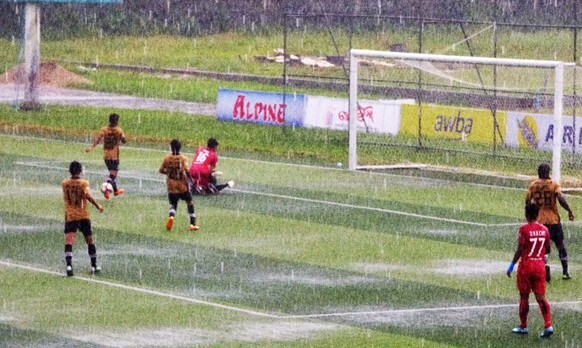 In the second half, the rain was slowing and playing conditions were improved. The half time period involved much sweeping water off the surface. 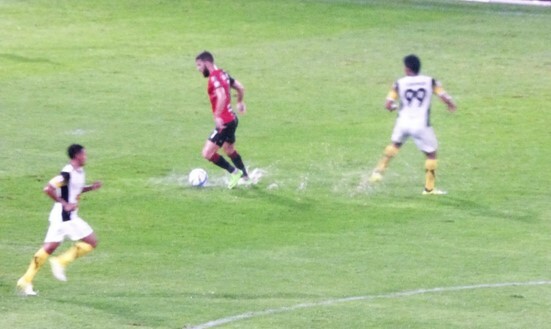 This allowed Bangkok United to feel a little more assured and to take control. Mario Durovski hit the second on 63 minutes, and then Alexander Sieghart added the third. Sieghart is listed as a Thai, he has a German father and played for Bayern Munchen II and Unterhaching before returning to the land of his birth. A final goal, two minutes from time was credited to Mika Chunuonsee, (born in Bridgend, and formerly of Bryntirion, Neath and Afan Lido, Welsh mother, Thai father). However, his shot actually hit the bar and came out, hitting the keeper on the back before rolling in, so in my listing it has to be an own goal. Programme was slightly smaller than A5 in presentation, but then unfolds into a single sheet of paper, nine times the size. One side has text, the other has a player poster. The crowd was 819. This was to be the lowest turnout at the club for the season, thanks to a combination of weather and the failure last mid-week. After the game, I was fortunate to discover that the club runs a free fan bus from central Bangkok, and I was whisked back into town on this. Talking to a German supporter of the club, while on the bus, I was invited to book a place for Wednesday’s cup game, but had to decline as I was going to be back in England by then. 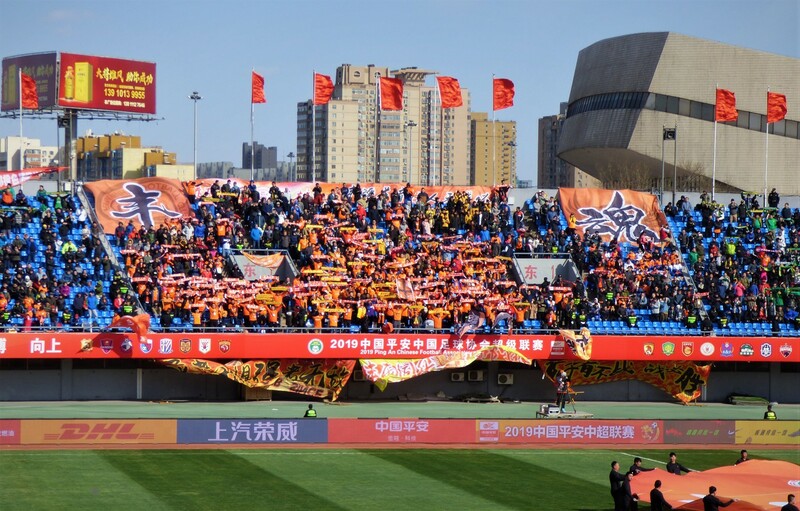 While seeing a low crowd at one game is not a problem in itself, the league will be concerned that the attendance for the whole season were 15% down, and that the 2016 season in turn was well below the leagues 2015 figure. 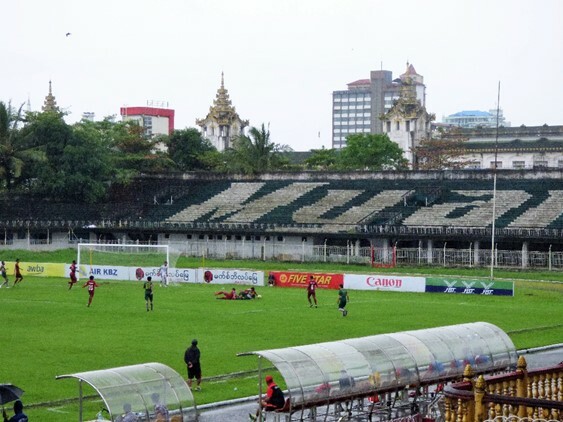 Apparently, the free fan bus also runs to away games, even if they are a nine-hour drive from Bangkok. I only decided on my Sunday action on the day itself. 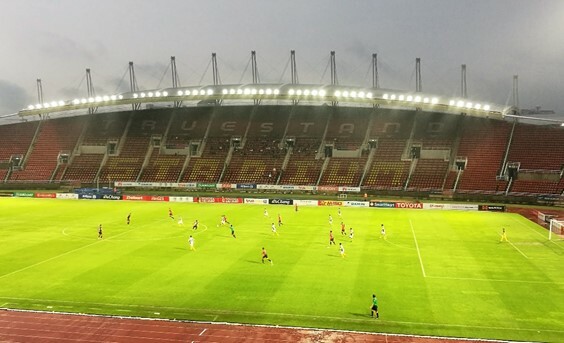 Even the evening before, when I was doing some of the research, I had not decided whether or not to go to some of Thai Amateur games, and which ones to go to. I knew the Thai League had a 1-1-2-6 pyramid, with the top four divisions being professional, and the next two being semi-professional. 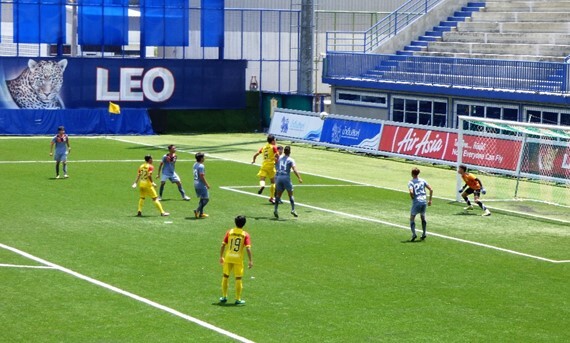 The Thai League website also shows a fifth level, the Thai Amateur League. From this I discovered that there were matches due in some mini-leagues, that had started the previous week. Eventually, I managed to discover that the fixtures were being put out on a facebook page, but in an image format. This meant I could not use any automated translation engine on them. 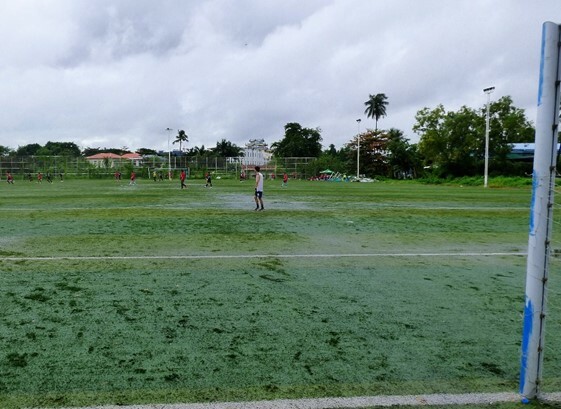 It was clear that the matches were being played in a single venue each Sunday, with three matches on a day, using 10.00, 13.00 and 16.00 kick off times. The venues were not always the same from week to week, and I had to wait for the fixtures to appear on facebook. 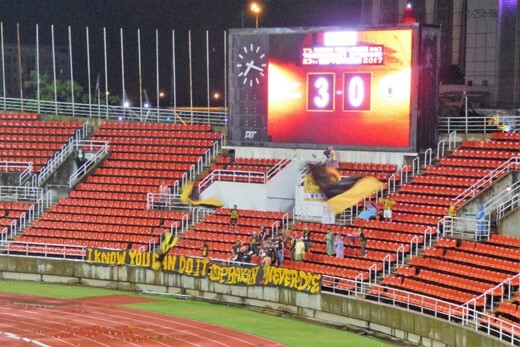 I showed them to some journalists at the Bangkok United game. It was clear none had covered this level of football, but I had already worked out that there 12 leagues in operation, and that two of the areas were Bangkok and Bangkok Perimeter. 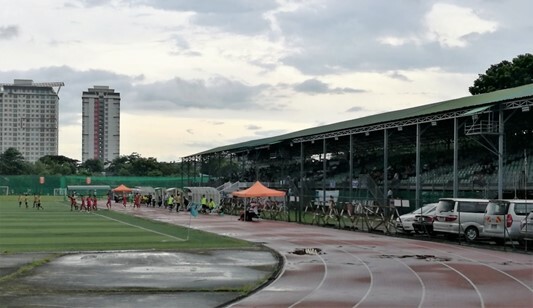 From here I gathered that the stadiums being used this week for the Perimeter League was the Leo Stadium, home of top division Bangkok Glass, while for the Bangkok League, it was the Thammasat Mini-Stadium. While I could confirm that this was on the university complex with Bangkok United, no one knew exactly where. The good thing was that these two were not far apart, it would be easy to travel from one to the other within the one-hour interval. I also tried to find out information about one of the other leagues, with the thought it might combine with Chonburi’s league game, but here the information ran out. 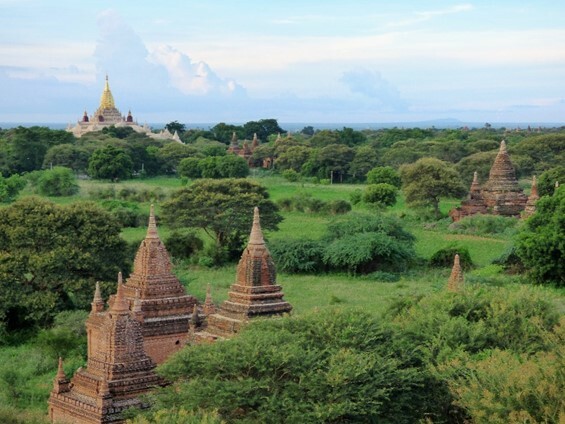 Even those who could read the language could not point to the location on a map. As I awoke quite early, I decided to go for it, based on what I knew. So, my first stop was to be the Leo Stadium. 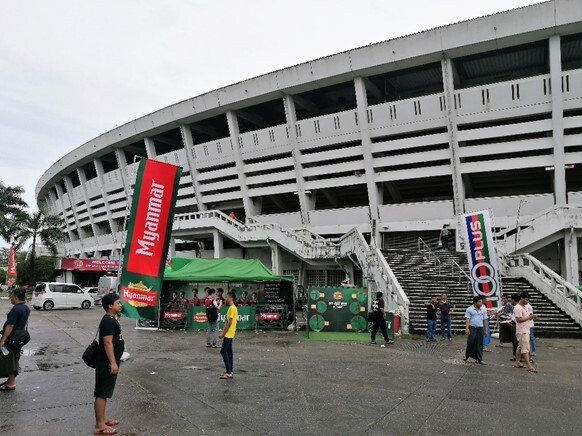 I had always been quite eager to get to the stadium bearing my name, and were disappointed that I was in Thailand during a weekend they were away from home. 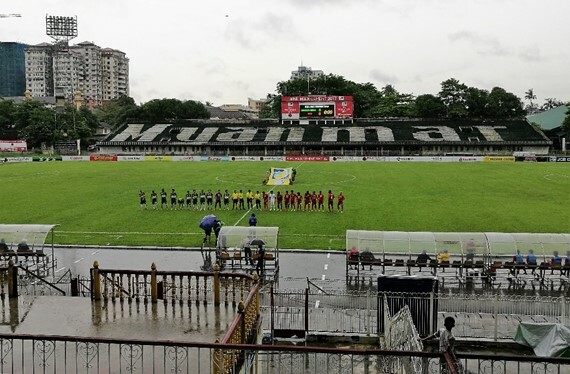 This was quite straight forward, and I arrived at the ground about 15 minutes before kick-off, where no admission charges were being requested, and I managed to obtain the team lists in Thai quite easily. 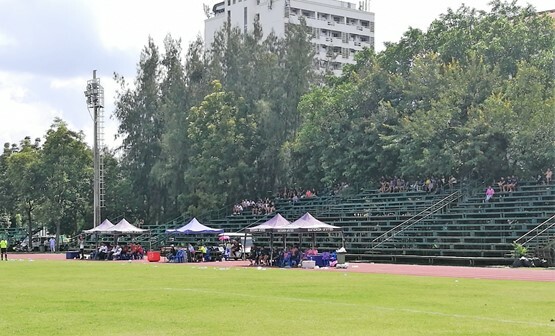 The teams were Romklao United, a student team based at the Kasem Bundit University, and an Air Force team – google translate puts the name as Department of Air Marshal. 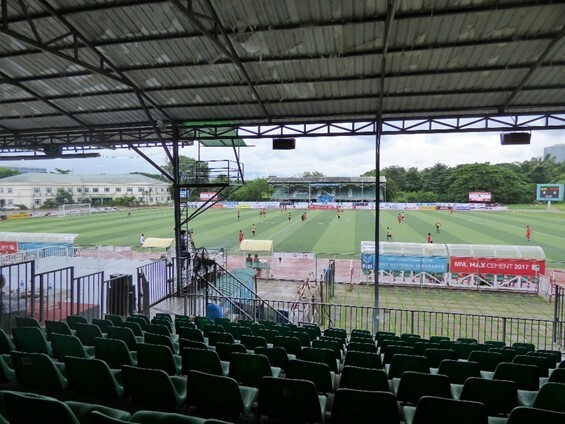 The Leo Stadium is an unusual three-sided affair, one of the long sides is not used, with a three tier stand behind one goal, a two tier along the side and a single tier behind the other goal. 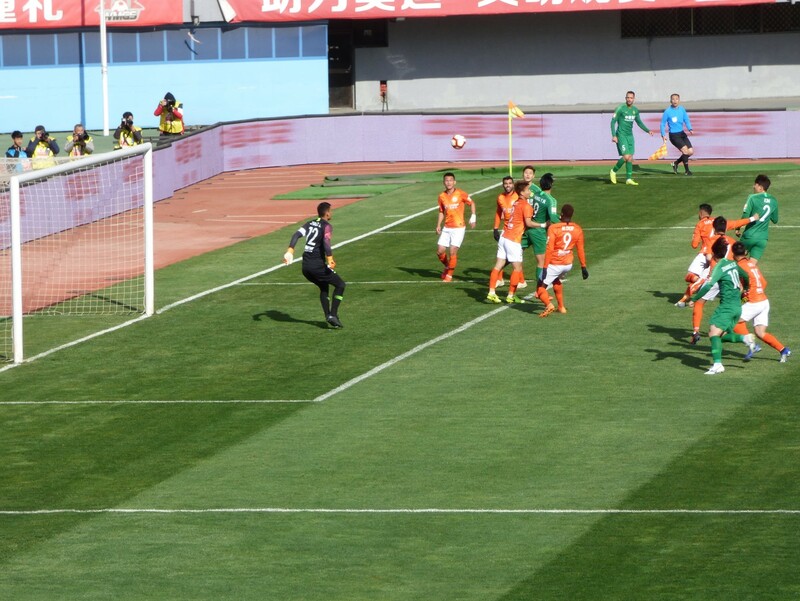 The individual players of the two sides were very good on the ball, but very poor off the ball. There is a lack of tactics or vision and the defences reigned. I though the Air Force team had done enough that they may nick it near the end, but then a silly foul in the middle of the field left them down to ten men, (it was a straight red as well), and changed the game dynamics. The students had the better of the last 20 minutes, but could not prevent the game from serving me up with my first draw (and hence first goal less draw) of the season. The individual players skills in this game were less than that in the earlier one, the lack of vision and movement off the ball was the same. 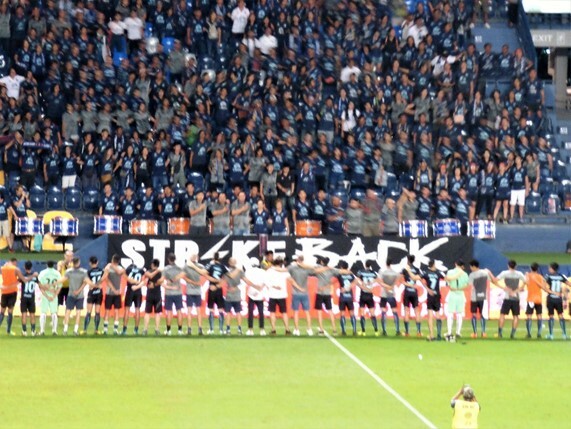 The teams now were Rajdamnern and Tokio Bluearmy. The spelling Tokio is correct, it is a Thai footwear company. There is nothing Japanese about then, although the coach does look like a retired Sumo wrestler, (pot, kettle?). I thought that I was getting my second scoreless draw of the day, especially as while Tokio seemed to be on top. Twice Sarawoot got clear with only the keeper to beat, and beat the keeper both times. The first was wide, the second hit the bar. Just to show, I am not making this up! 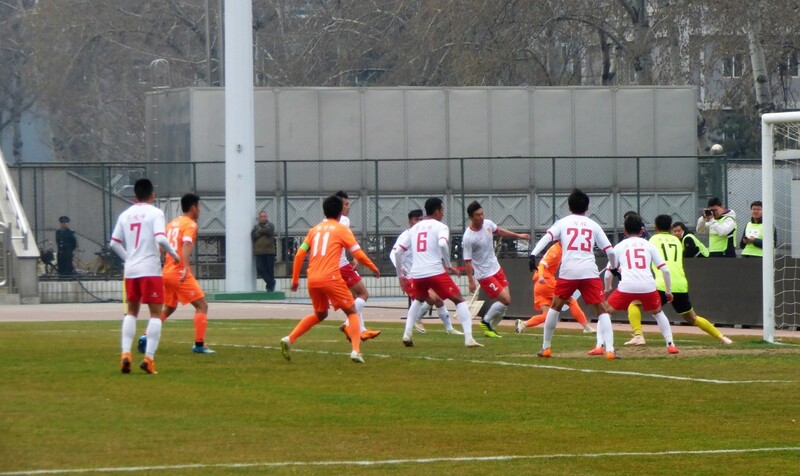 But then with four minutes to go to the added time board, Srichai found himself clear for Rajdamnern, and managed to beat the keeper without missing the target. 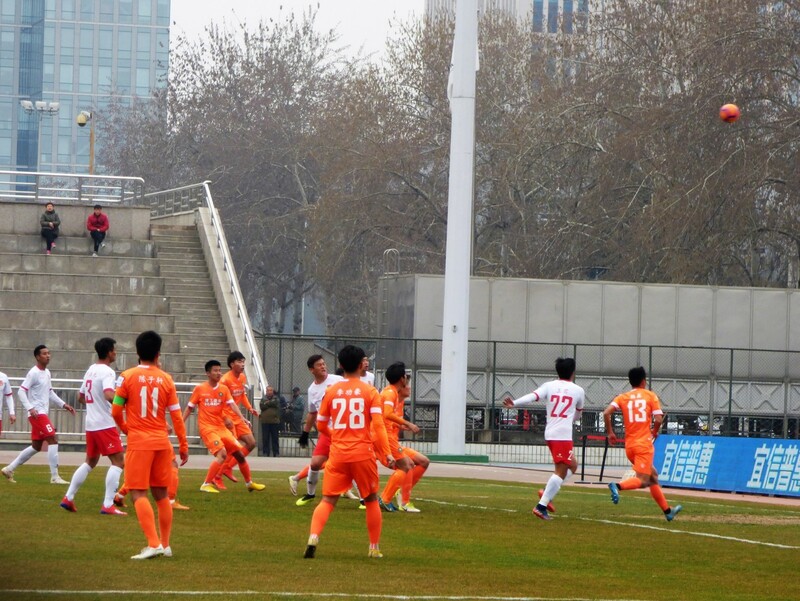 Three minutes later, the same played passed a defender with a clever flick and made it two. The attendances for the two games were just 30 and 50 respectively, although this included a drummer at the second game. 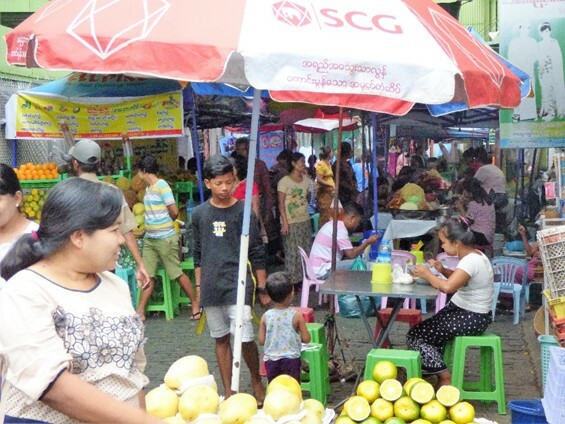 I made my way back to the central road, but the first taxi I stopped would not consider taking me to Minburi, despite this being a good fare to claim, it was a fair distance from where I was standing. 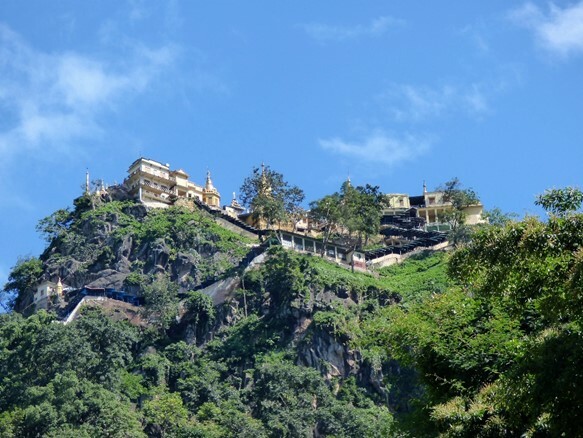 Some taxi drivers on these trips won’t take you as they don’t want the hassle, but quite often it is because they just do not know where you want to go. 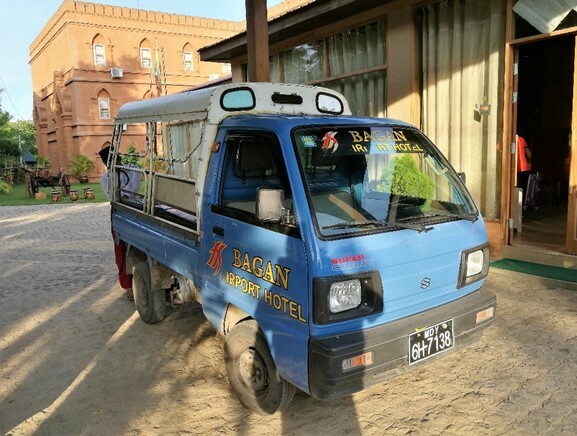 Unfortunately, it turned out there were not many free taxis on the road within the university, but as I was waiting, a minibus stopped. It was the Rajdamnern team, on the way back to their base (wherever that is). They took me to a more major road where I could more easily find a taxi. It appears that there are no dressing rooms at the mini-stadium. I saw one of the match officials get on a bike and cycle away still in kit. It took a couple of goes to find a taxi to take me to Minburi. 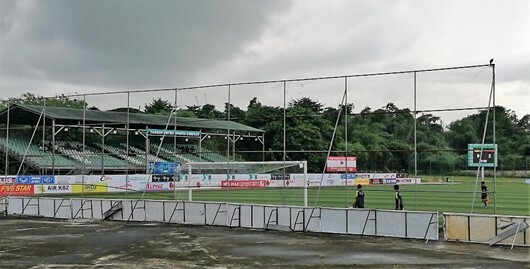 This is the home of Thai Honda FC, and was close on to a one-hour drive from my position in North Bangkok. 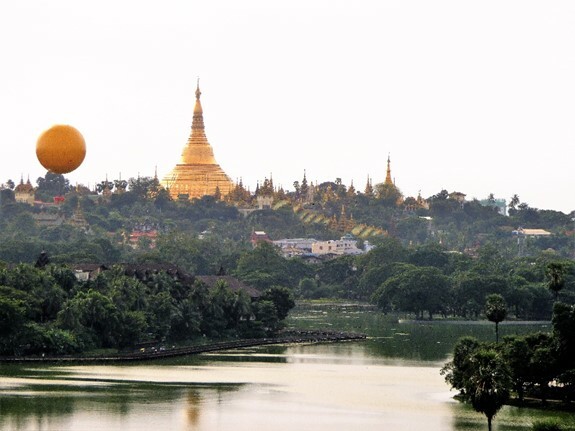 He phoned home to ask someone to look up directions to the 72 Anniversary Stadium. It did not really help and he still got lost more than once. I was trying to update him with the map on my PC, which I could not update offline, but could pan around a little, once we had got close enough to spot the stadium from the main road – still over two miles away I think. If you tell a taxi driver not to take a specific road, because my map says it doesn’t go through, he will of course try it, stop when he sees someone, and then head back when they confirm my feeling that we need to take the next turning. The 72 Anniversary Stadium is quite interesting. The choice of slogan, “Club of tomorrow” is displayed with much aplomb as you enter the ground. Sadly, this is not likely to be true, as they were relegated at the end of the season – and administratively they are still about two days before yesterday. On entry, I was given my accreditation, and a slip of paper allowing me to access internet from the Press Room. So, I asked where the press room was? It was just behind the girl who gave me the card, but I was sent in completely the wrong direction, after which I was told they did not have a press room at all. Still, one gets there in the end. 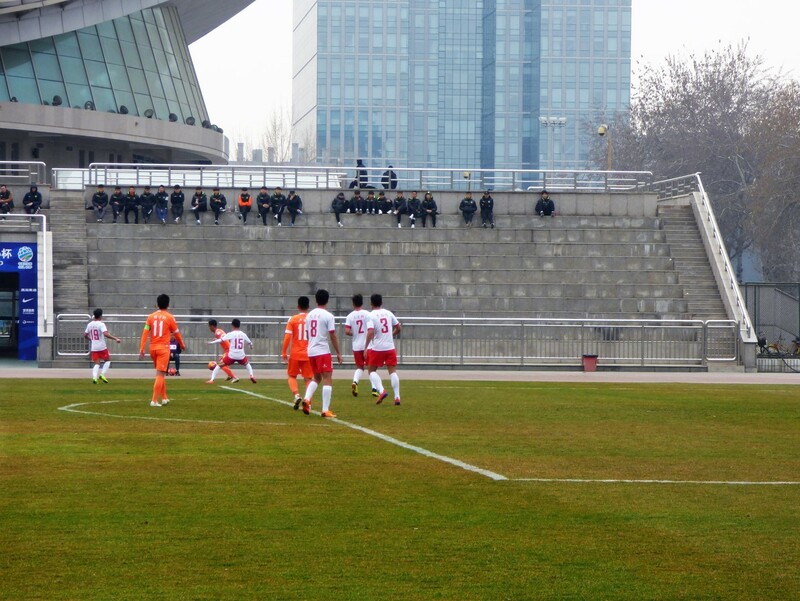 There is no viewing from either end of the ground and one side is just a raised concrete stand with concrete seating. The other side is similar, except that seating has been installed in the central section which Is under cover. There is a track around the pitch, but at least the elevations are good. 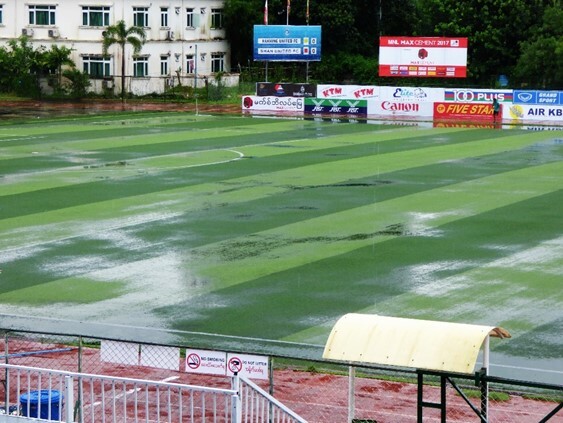 Five minutes later, the game is called off. 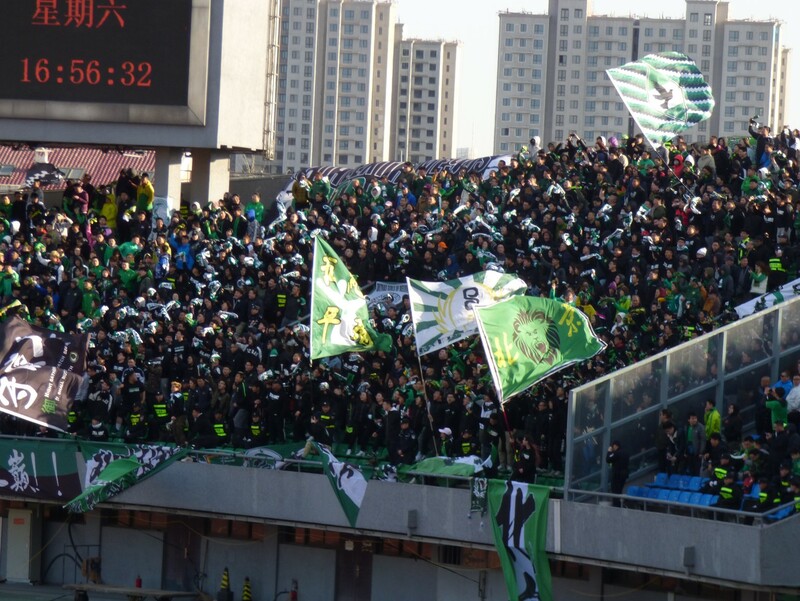 At some time during the wait, we were treated to an impromptu display of support from a small group of home fans with the name of the club emblazoned across their chests. Fortunately, it will wash off – and if they went to stand with the majority of the fans, it will have done before the game was called off. 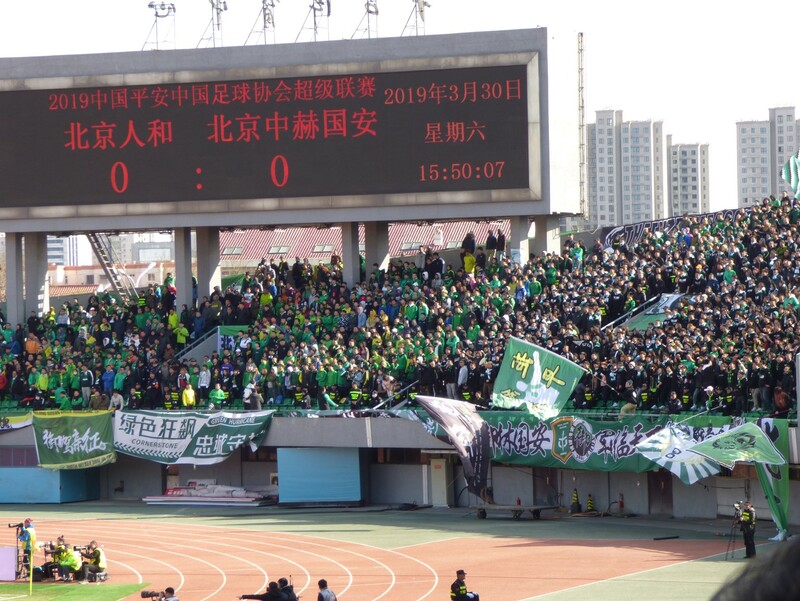 In common with the practice I had seen at other games, even though the match was off, the players still made their way to the support on the uncovered side to make their ritual “thanks for coming”. The taxi driver who took me to the stadium, said he would come back for me. I was uncertain as to whether this would happen, but not only did he come back, but he made it there around 30 minutes before the agreed time, meaning I did not have to wait long. Anyone else trying to get a taxi here needs to consider asking them to pick up after the game. You are at least a mile from the main road, with little chance of seeing a taxi before you reach it. 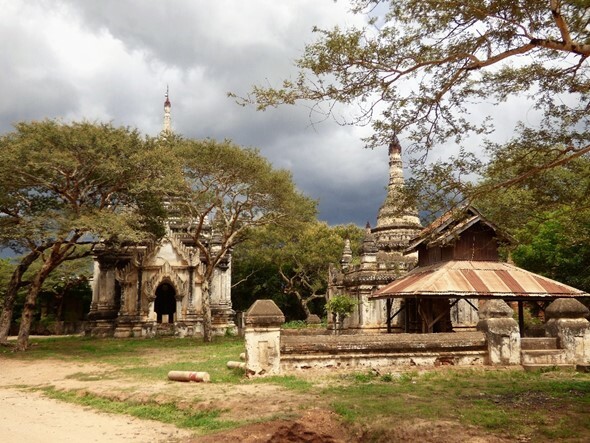 I did not see many until we reached the centre of Minburi – a distance which would have required more than an hour of extra walking. We also picked up two Thai supporters who were looked for a Taxi. Apparently, they had tried to stop my cab when he was on the way in, and he asked my permission to pick them up. They knew little English (despite having visited England – apparently London is cold in winter), and travelled on in the cab after I reached the hotel – so they were going a long way, so they spent at least an hour in the taxi. What they would have done, or what I might have done, without the taxi remains a matter of speculation. Anyway, I was back in town allowing a drink before bed. In the morning, the hotel staff helped me in the unusual task of transliterating the Thai script on the fifth level team lists for my records. 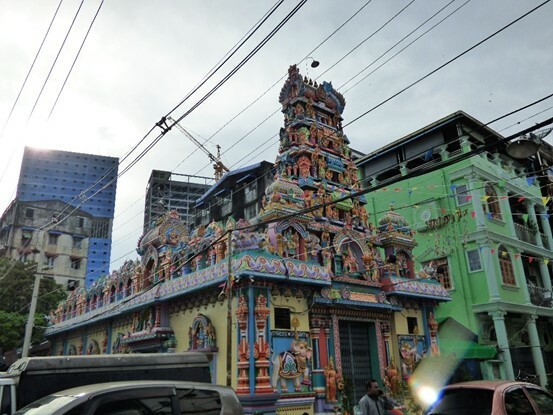 I had managed to get a few sorted and some sort of translation is possible using google, particularly when the name does not translate into English words. 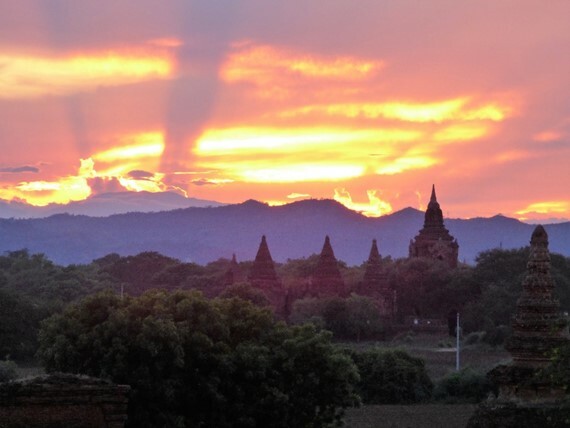 As I have found a couple of times in the past, in Thailand and Hong Kong, hotel staff are quite happy to help with unusual requests like this so long as you can make yourself understood and you pick a quiet time of day. After that though, there was nothing to do but to head back to the airport and board my flight back to London. My flight out was my first on the Airbus A380, but the return was my first on an A350. To be honest, there is very little to say about either from economy class. But my last job was working automating the production procedures for A350 wing panels, so one felt a little more connected here.